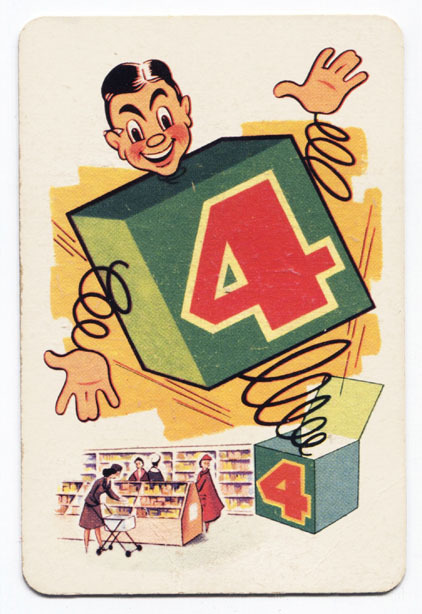 One of a series of Nyal point-of-sale display cards of the early 1950s. A series of them turned up for grabs at auction, but whether they were all by Roundhill or some were done by another artist in the series – remains unconfirmed. Certainly this highly airbrushed style was a trademark of his, as we know. I have had a very busy year, so obviously I’ve had little time to put up new stories for the most part. I haven’t posted anything since February, my bad – and the time has just slipped away. Even my page on Facebook, History Always Repeats, has slowed down quite a bit (although the membership is increasing rapidly anyway). My previous semester was totally frustrating and as a result mentally exhausting (mostly due to the complete disorganization of others) and after it was done I just didn’t want to know about anything for a while. This is the first time I have had a break since late 2010 when I started Longwhitekid – so perhaps it’s just a natural progression; that’s how it feels. I’ve written at least 175 stories during that time including magazine articles which is quite a lot. A rest is always good – even if it’s unexpected. And this break from publishing was not at all planned, however when I return in a few weeks there will be some big changes afoot. So it’s probably all part of an inevitable reboot that has been coming for a while, anyway. Things just need to change about the way I am doing this if it is to continue. It doesn’t mean I haven’t been researching and writing; but arranging the actual posts is a lot of work in its self and my focus is elsewhere right now as I finish up on the manuscript, that I have mentioned on and off for the last four years. So the Longwhitekid project is far from over; I am still enthused and have a long list of topics I’d like to tackle. In the meantime here is a collection of further images by Bernard Roundhill that have come into my possession (this is not all of them, just a portion from this most prolific designer which keep turning up, or I suddenly realise after years – that something I’ve had all along is by him). The original article, which has been incredibly well received, was ‘Unblemished Record’ and can be found here. And I hate to blow my own horn but it is the definitive article on him (although Richard Wolfe’s one was pretty good). I have also updated fifteen or so other past stories – although there is still lots to do in this respect. This will have to be adequate for now. I’ve added an advert from a Pahiatua 1950s publication which sheds more light on the timeline of this sweet treat’s history in Aotearoa. I am in receipt of family photos including pictures of the brand’s proponent, Fred Elbe (Jr.), so we finally get to see what he looked like – as opposed to his Dad – which was the best I could do at the time of publishing. An earlier popping corn on the market, named ‘Fun’, may have had some bearing on the background of this brand. I’ve added some boxes that have been kindly lent to me from Hocken collection by ephemera librarian Katherine Milburn. An image has come to light of an Uncle’s branch on Queen Street, Auckland, as well as a better picture of paper Cola cups by Carton Specialties. 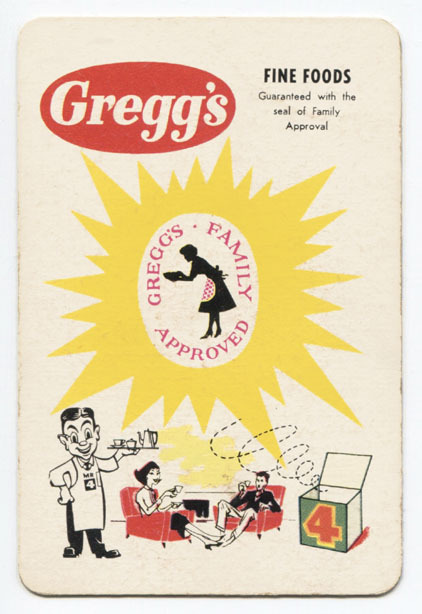 I’ve added a few boxes and adverts as well as images of two cream cans that flesh out the story of this brand somewhat. I came into a lot of extra information on photographer and confectioner Swales, which clarified this story. So I have rewritten it a bit. Oh, and there’s a nice colour postcard of K Road showing his store. 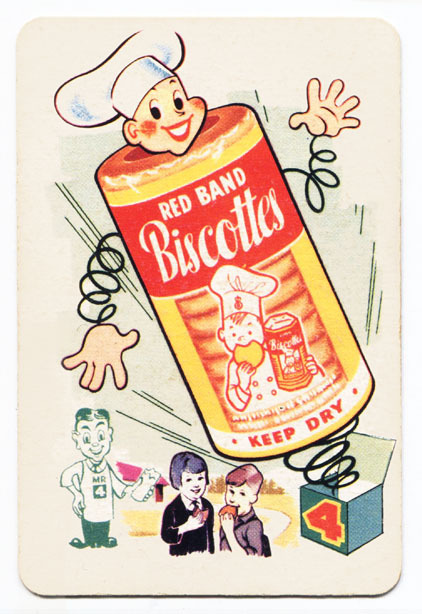 A paper wrapper from an Australian ‘Beatall’ tin raises some questions about Nestlé’s potential involvement in this brand. I’ve added six Allen’s wrapper designs for different lines, which I remember being on the market through the 1980s. A ‘Safety First’ board game appeared recently featuring the character (whose name I had wrong) so I have made adjustments to images to reflect this, and added some more. Iced VoVos: Who Did It First? Two rarely seen adverts from 1960 featuring this iconic biscuit cropped up so I decided to add them to this story for posterity, although it still doesn’t shed any light on the historical mystery. I’ve added more images of Wattie’s pea can novelty promotional lighters. I still love this collection as I consider it one of the best lots I’ve ever snagged from a Trade Me auction. An advert for a swap club advert from a newspaper changes the way I’ve been looking at these fundraisers thus far. Many more versions of these swap sets have also turned up lately in the Hocken collection and at auction, yet some particular swaps from more common competition sets remain totally elusive to date. A yet unseen 1937 book by A.W..B. Powell turned up at auction a while back, so I have included it here. Did this man ever release a book with an ugly cover? Nope, apparently not. Those pears are undeniable: A can label for Thompson & Hills’s ‘OAK’ brand Bartletts, probably dating from the late 1950s-early 1960s. Image courtesy Mike Davidson collection. 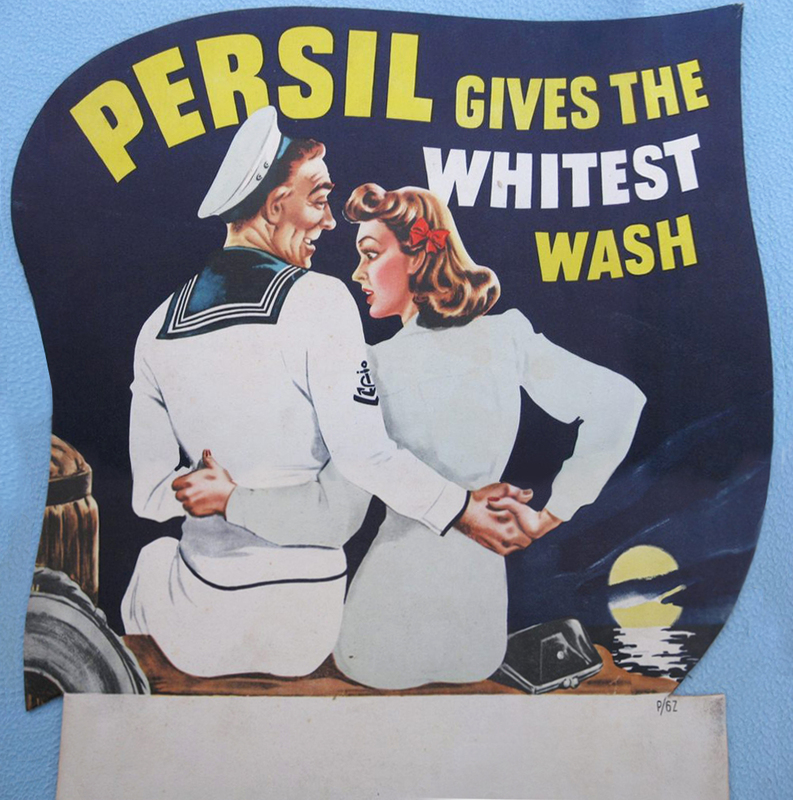 A large point-of-sale display card advert for Persil dating from the late 1940s to early 1950s. I’m actually a little confused about what’s going on here with these two. Anyone? L: A label for the H.L. 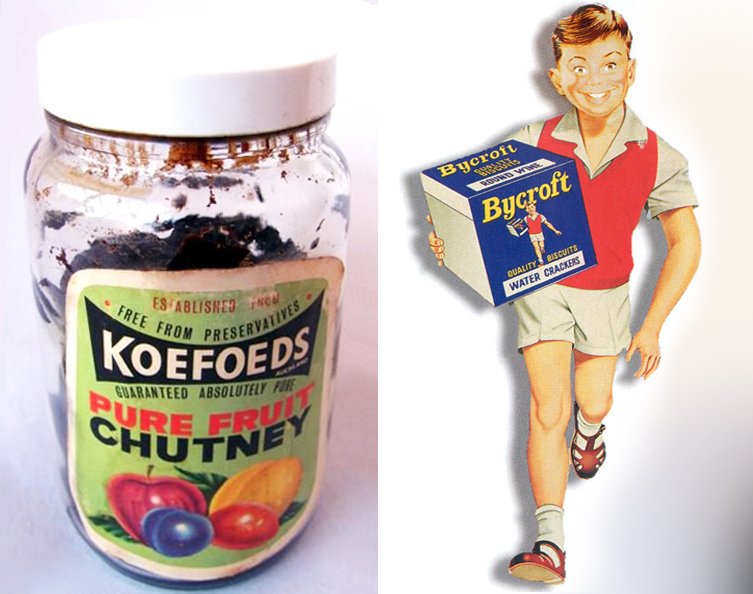 Koefoed brand of chutney. This was probably their last gasp in the 1960s; they’d been around making sauces for eighty years at least by this point. Included is goop which is fifty year old condiment. I’ll pass, thanks. R: The second, later version of the ‘Bycroft Boy’ with the trademark ‘Droste effect’ or, formally ‘mise en abyme‘ which was also a feature of the earlier version by Leslie Bertram Rykers in the 1920s. Ward’s ‘Cargill’ brand whole tinned rabbit, made between 1936 and 1955. Image courtesy of the Alexander Turnbull Library collection, ref Eph-A-MEAT-1940s-01. Artist is unknown but we can assume it is Roundhill’s work. I always wondered what the unspecified ‘Monarch’ was exactly, in Roundhill’s list of known jobs. I had decided that, being a rather common name, it was either shoes, smallgoods or irons. 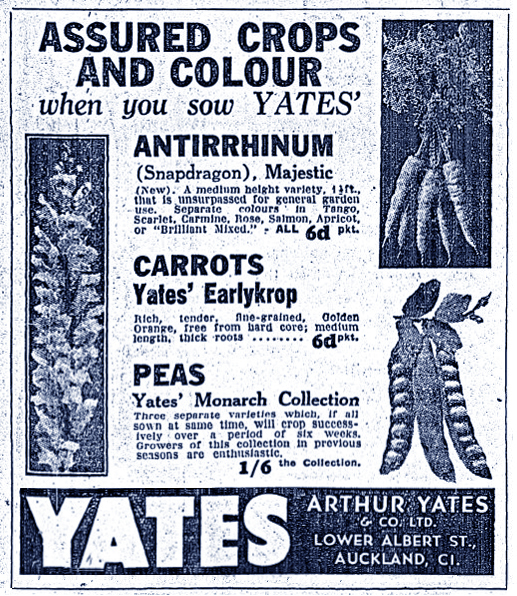 However it turns out it was a line of pea seeds under a long-term client of Roundhill’s; Yates. This advert from the New Zealand Herald, September 1940. Image courtesy of the National Library of New Zealand. 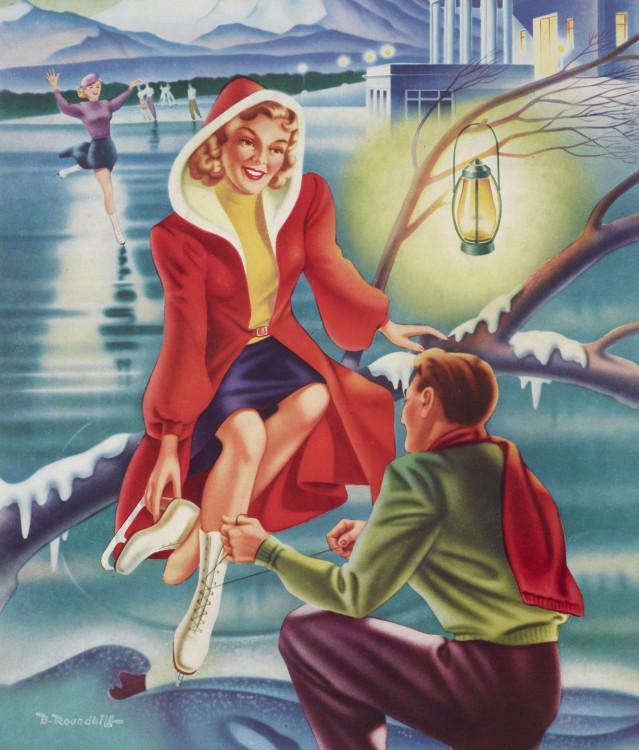 ‘Girl Skating’, magazine cover probably for The Mirror, Bernard Roundhill, 1951. Image courtesy of The Museum of New Zealand Te Papa Tongarewa collection, reg no CA000660/001/0005. It’s good to see more items from their extensive collection of Roundhill’s work finally going up online in recent months. Six different soft drink labels created by Roundhill for C.L. Innes & Co in the mid-1950s. Several more are in The Museum of New Zealand Te Papa Tongarewa collection here, including the ‘Jaffajuice’ one. 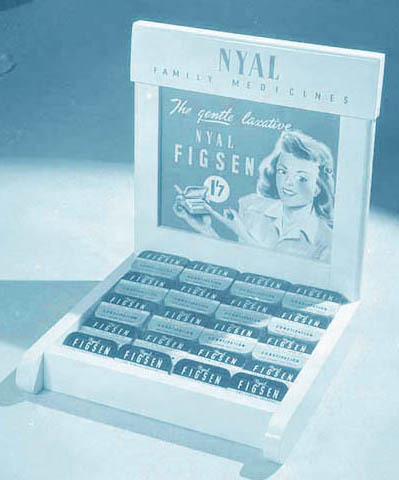 Nyal’s Figsen laxative display unit, for Frederick Stearns and Co, manufacturing chemist, with a point-of-sale display card from a series probably by Bernard Roundhill. Photo by Clifton Firth, 1950s. Image Courtesy of Sir George Grey Special Collections, Auckland Libraries Heritage Images, ref 34-S502. 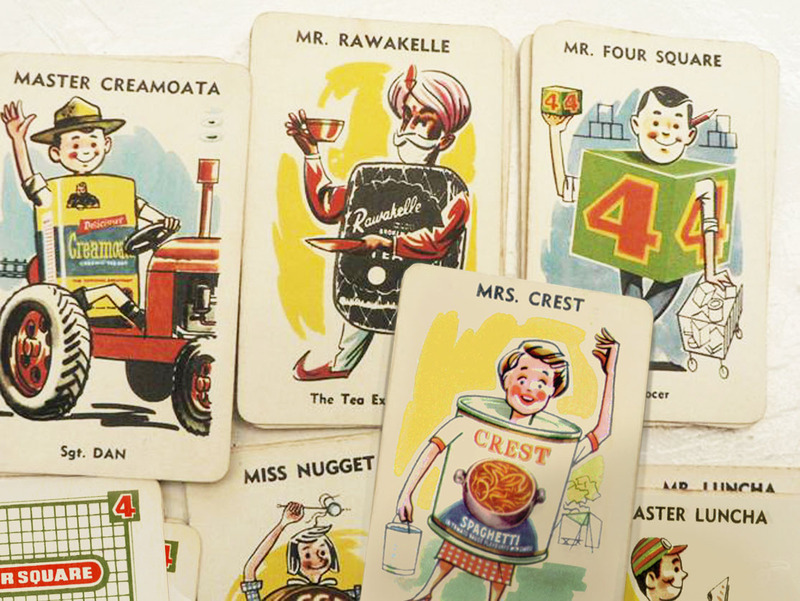 A series of Nyal point-of-sale display cards of the early 1950s. A series of them turned up at auction, but whether they were all by Roundhill or some were done by another artist in the series – remains unconfirmed. 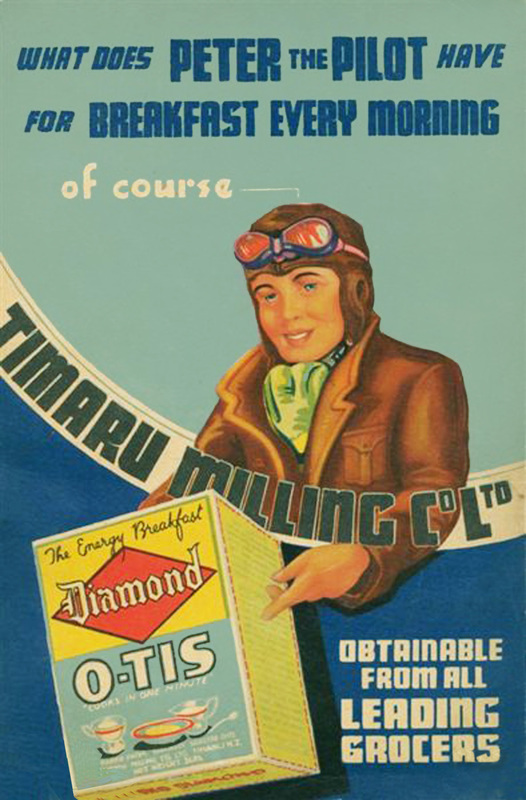 A Peter the Pilot album of 1939 by Timaru Milling. It’s said Roundhill created the character and illustrated him, at least to start with; however there is now some debate whether he or Carr, another employee at Coulls Somerville Wilkie, came up with it. Certainly Carr worked on the account in the 1940s through to the 1950s and some of the early Peter Pilot stuff looks like his style more than Roundhill’s – there’s always been a question mark hanging over it. That said, early days and developing skills, I guess. 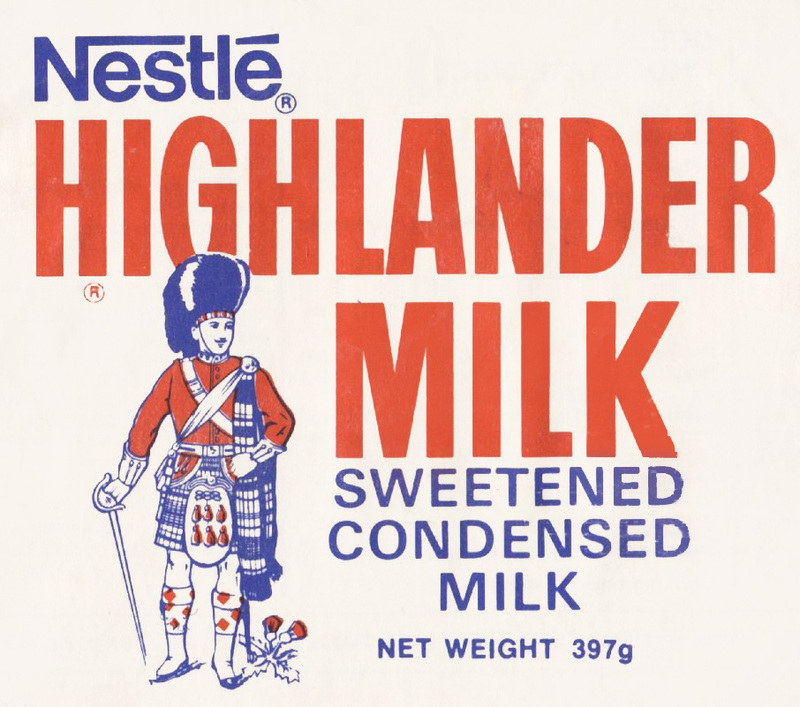 The Highlander milk can label, with the classic design by Roundhill in his typical dark blue linework, remained in use for decades. I really should have included this with the original article; it is along with the Air New Zealand koru, and the Teachatot box one of the images by him completely ingrained in the consciousness of many Kiwis – and as such one of the consummate iconic works of his large oeuvre. 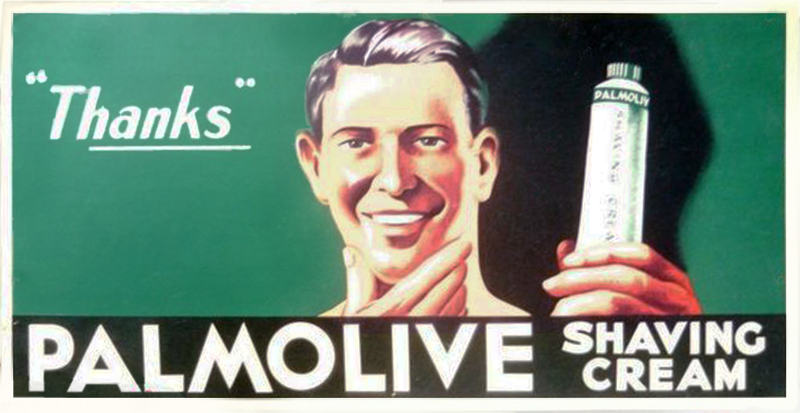 A card point-of-sale display by Chandler and Co from a series of lithographs done for Palmolive-Colgate products, probably by Roundhill, circa late 1940s-early 1950s. 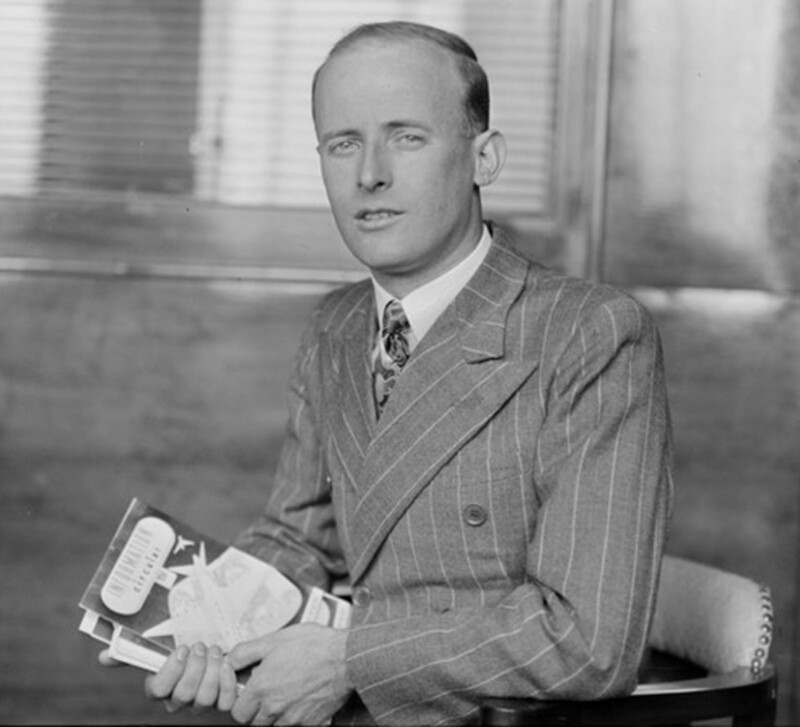 It’s possible Bernard Roundhill worked for Chandler when he moved to Auckland around 1946; he was known to have worked for a now unknown advertising concern for a short time, before striking out on his own. However which business that was exactly has been lost to time. All content of Longwhitekid copyright Darian Zam © 2015. All rights reserved. A recreation of panels from a Surprise dried beans box, dated some time between 1970-76. I used a picture of a box sold on Trade Me in order to remake the graphics. Who remembers the Surprise brand? Everyone should. Especially the peas. I recall well how they were heavily advertised on television in the late 1970s and early 1980s – it was on relentless rotation! However it may have been forgotten that Surprise were around long before that; as far back as the 1950s in New Zealand with pea and bean products – both dried and frozen. Initially I wrote this article on the premise that the Surprise brand likely started out as a subsidiary of J.R. Butland’s Crest Fine Foods, later Butland Industries, given the logo is prominently displayed on the packaging. 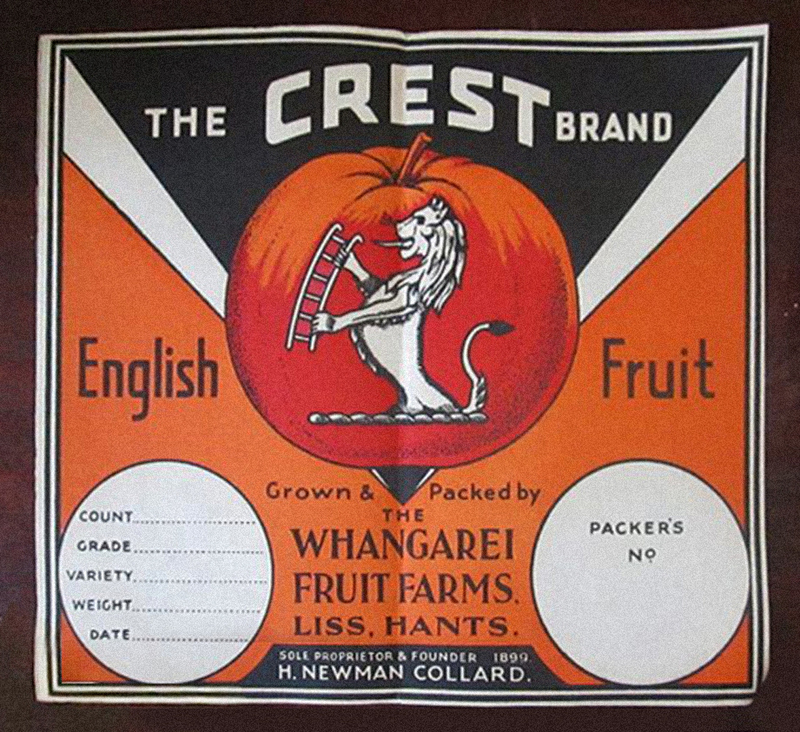 Crest was for some time the most successful (mainly canned) food business in New Zealand until usurped by the Wattie’s line (Butland had his initial success with the invention of Chesdale Cheese and was also behind the Goldpack fruit brand amongst others). History is confusing around how the Crest brand passed from one owner to the next. 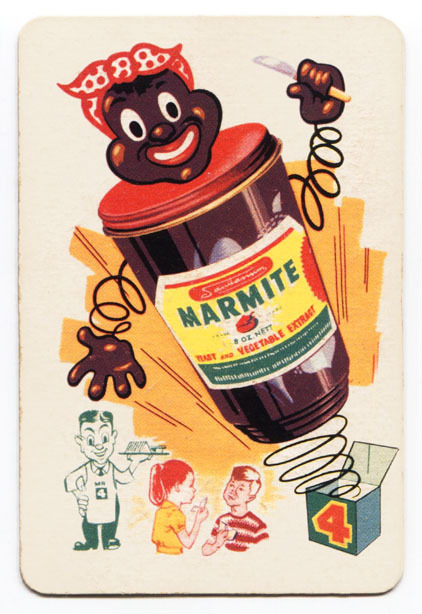 My research shows that the brand changed hands in 1959 – but that Wattie’s kept producing the frozen stuff on behalf of Unilever until 1961 or so. Another record shows the Crest brand passing via S. Kirkpatrick & Company Ltd (the “K” Brand) to J. Wattie Foods Limited in 1960 (Wattie’s had also bought both “K” and Thompson & Hill’s OAK brands in this year). A shopper holding packets of surprise dried peas at Merrylands Shopping Centre, NSW, Australia. Taken in 1966 by Ern McQuillan, image courtesy of the National Library of Australia colelction, ref nlapic-vn4984301. I’d have to see more examples of packaging with notations on company details to develop a better tracking – but I would say that this was referring to the canned business, not the frozen and dried goods portion (Crest also included spices and sauce lines) – as by the early 1970s the Surprise brand, along with hugely popular Wall’s ice cream (covered here in September 2013) – is being marketed under the auspices of Birds Eye Frozen Foods NZ Ltd, a Unilever subsidiary. As the Crest brand died off for good around the mid-late 1970s that part was dropped by Unilever and the Surprise brand was slotted under Continental. 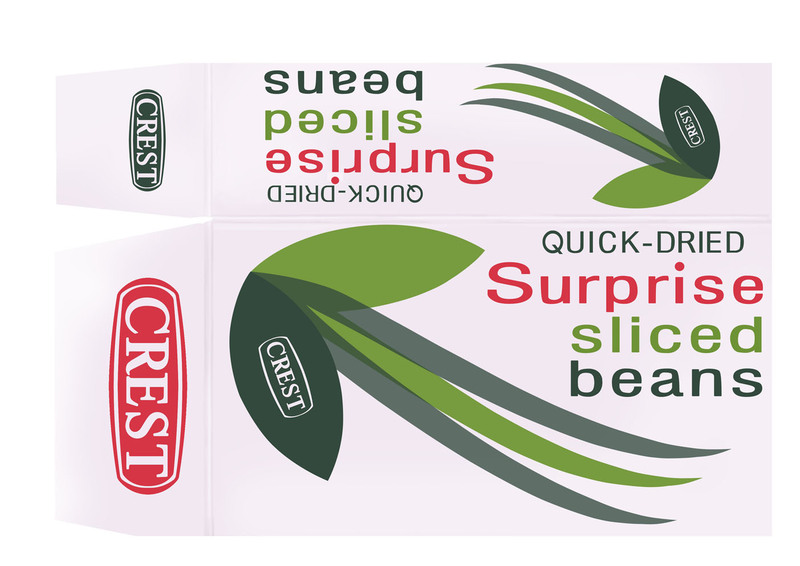 I assumed Surprise was by Crest – and that when Butland had supposedly sold the brand to Unilever (who then added some more product lines like packets of dried “Stockpot Vegetables” for various soups, amongst others) they acquired the Surprise line/ brand from Butland in the deal as well. 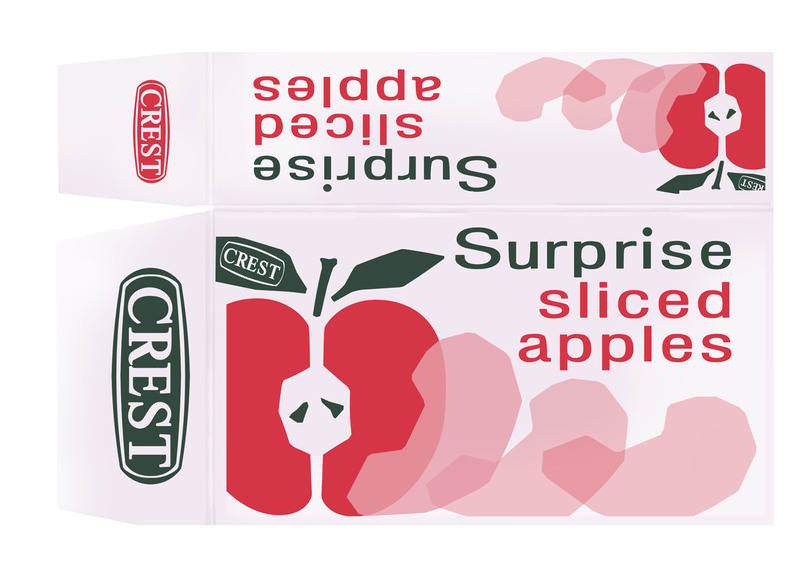 Just when I thought I had this all sorted – a Surprise sliced apples box appeared online for sale indicating it was manufactured by “Crest Foods Limited” alone. It’s similar to the box pictured here dated first half of the 1970s – except it seemed to have an imperial price written on it in pencil. Did Crest hold a license from Unilever for Surprise then conceded later? A quick check of records shows that the address for Crest on the box, at Jackson Street, Petone, Wellington – was the same address for Unilever’s Birds Eye. A recreation of panels from a Surprise dried apples box, dated some time between 1970-76. I used a picture taken of items in a mock grocery store in an unknown museum collection to remake the artwork. It slightly differs from the earlier box at bottom. A potted Unilever history: William Hesketh Lever launched Sunlight Soap in England in 1885 and it was imported to Aotearoa until operations opened in Sydney in 1899 – at which point importation of the product into New Zealand switched to Australia. However it was not until quite late in the piece, 1919 in fact, that Lever products were produced domestically. In 1920 Lever merged with Dutch fats and oils business Margarine Unie modifying the company to an amalgamation of the two monikers – Unilever. It’s the usual story with many Trans-Tasman companies – the development was quite separate as is the case with Unilever (until recently). Down under, Unilever spent a number of decades, well into the 1980s, still referring to themselves as Lever Products/Lever Bros (N.Z.) Ltd until they acquired the brands Oxo, Bushells, Faggs (coffee), and John West – and along with their Quality Packers business (including Choysa, Perfit, Red Rose and Q-P) all merged to form Unifoods NZ in 1988. Over the years Unilever also produced Monkey Brand (household cleaning soap), and Lux was an enduring brand over the decades with soap powder, dish liquid and toilet soap lines. Other toilet soap brands were Lifebuoy, Castilever, Solvol and Knights Castille. Household cleaners Vim and Handy arrived in the 50s and 60s; Marge’s toothpaste and Impulse deodorant debuted in the 1980s. Soups included Continental , Country Style and Slim-a-Soup. There was instant Savoury Rice in beefy onion, Chinese style, and mild curry flavours. 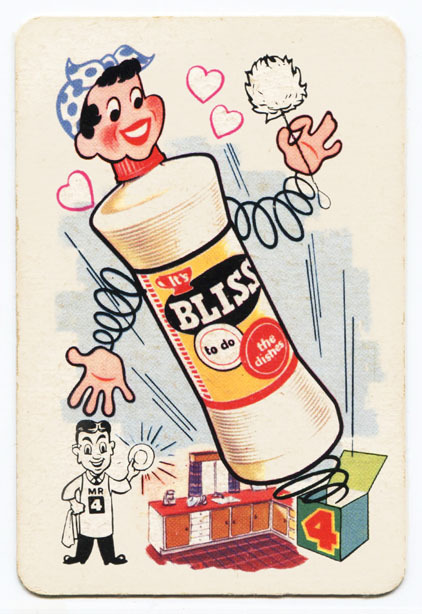 The Abel’s brand had vegetable oil, margarine, and copha – and Lucky Whip was a canned aerosol whipped cream. Frying Saucers, which I remember, were a frozen snack for deep-frying that resembled fishcakes but had mince meat inside. They were all the rage for a while when I was a child. Wall’s ice cream was at various times slotted in under the Birds Eye frozen foods subsidiary. The Surprise line was put under the Crest brand for some time. I am sure there were a number more brands that Unilever produced in New Zealand. 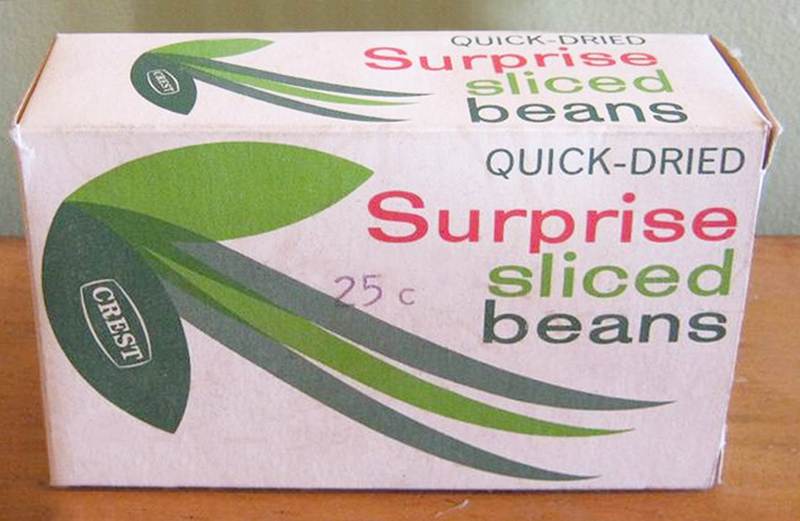 A Surprise dried beans box dated early-mid 1970s used to recreate my artwork for the box panels at top. Note the decimal price stamp shows it definitely dates after 1967. Clarence Frank Birdseye was a taxidermist turned inventor from Brooklyn who experimented with and developed a flash-freezing system for frozen foods in the 1920s after being inspired by Inuit Eskimo methods he observed on assignment in Newfoundland. Within a few short years, after having invested a few dollars in brine, ice and a fan – he had perfected the technique through trial and error (and one bankruptcy) and sold his General Seafood Corporation business for a fortune to Goldman Sachs/Postum Cereals (which later merged to become General Foods in America). Again, the company histories separated out between the U.S. and the U.K. – having different owners in different global territories . 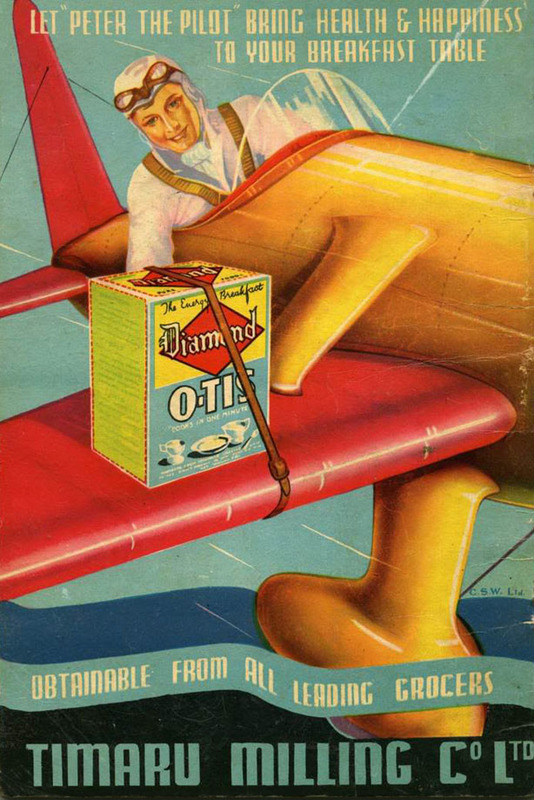 The latter is how the brand came to Aotearoa via British Unilever – who bought rights from America to the ‘quick freezing’ patent and Birds Eye brand in the 1930s. Home refrigeration started to popularise in the 1930s – and gave rise to the ice cream industry catering to this phenomenon – by packing their products for the first time in card quart and pint boxes to take home for post supper treats. Frozen vegetables were a new-fangled thing in New Zealand in the late 1940s but the above groundwork had already been laid for their immediate popularity. Advert for Surprise peas by Crest, New Zealand Woman’s Weekly, 1964. I think this is the dried version. 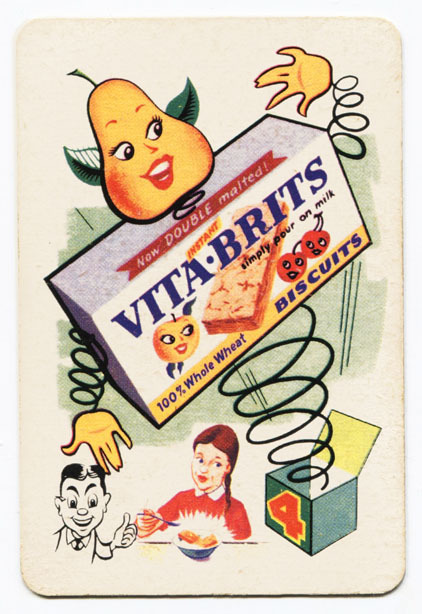 In 1947, Unilever of Britain contracted with Wattie’s to produce frozen peas, then a variety of vegetables and fruit under its Birds Eye brand – which I previously mentioned here in December 2011. Wattie’s then established a new plant at Gisborne in 1952 in order to continue accommodate this contract. 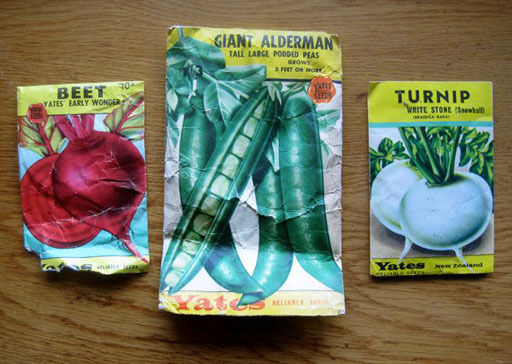 Subsequently, as soon as their new processing facility opened Wattie’s followed with their own packaged peas and corn; this eventually became a huge range of frozen product that did their competition no harm in the marketplace for quite some time – for Birds Eye were around well into the 1980s before it fizzled out (the business was finally dismantled in 1984). However the brand had a longer and more popular life in Australia, where it continues to this day. 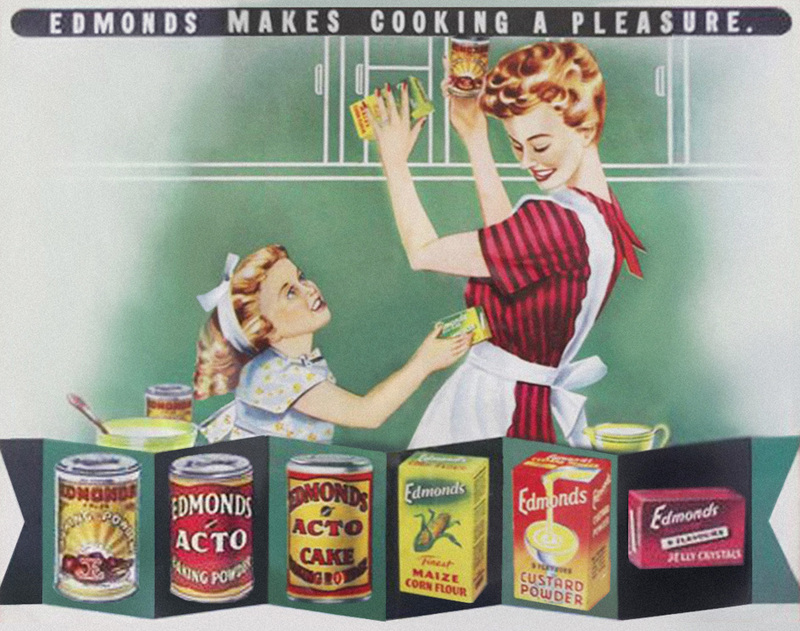 A 1956 still seems to show Birds Eye peas, raspberries and frozen fish (probably fingers, which launched in England that same year) amongst other items. According to Simplot, the current owners of the brand in Australasia – Birds Eye was not launched over the ditch until two years later in 1949 – although I think it’s clear by now that believing what a company writes on their own website about their own history is tantamount to listening to a claim from most politicians. 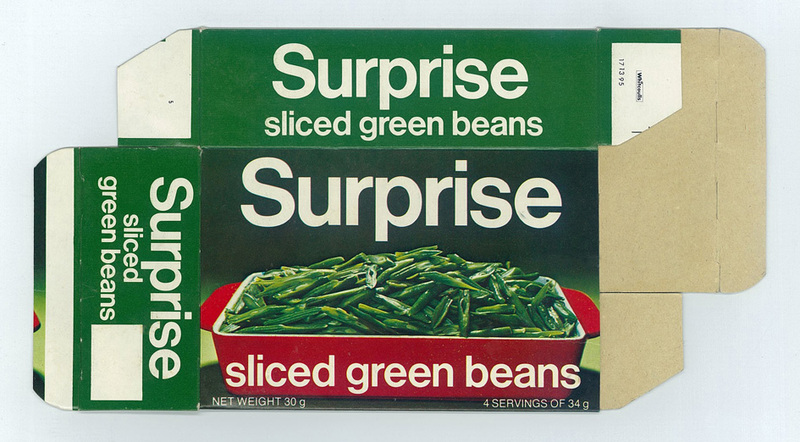 By the 1980s the Surprise brand had expanded to apples, peas, beans, butter beans, peas and carrots, minted peas, mixed vegetables, and chopped onions. I am sure there was more, this is just what I know of. The brand is still under Unilever and going Strong today, with four products – minted peas, garden peas and peas & corn (all in frozen and dried versions) and dried mixed vegetables ( a combo of pea, potatoes, beans and carrots). To my knowledge Wattie’s (now Heinz Wattie’s Ltd) continue their association with Unilever for production. 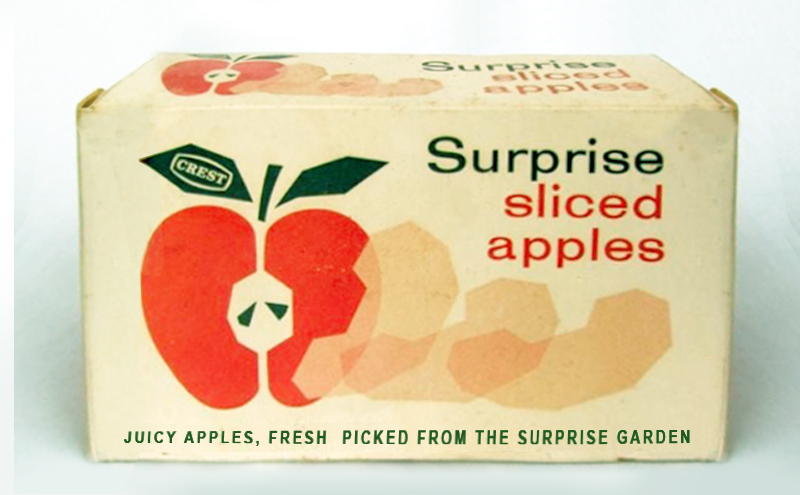 A Surprise dried apple box, likely dating between 1961-1966. I conject that by this time the ownership of the brand had transferred to Unilever, and product was being manufactured in their Wellington plant, hence the Jackson street, Petone address on the side. 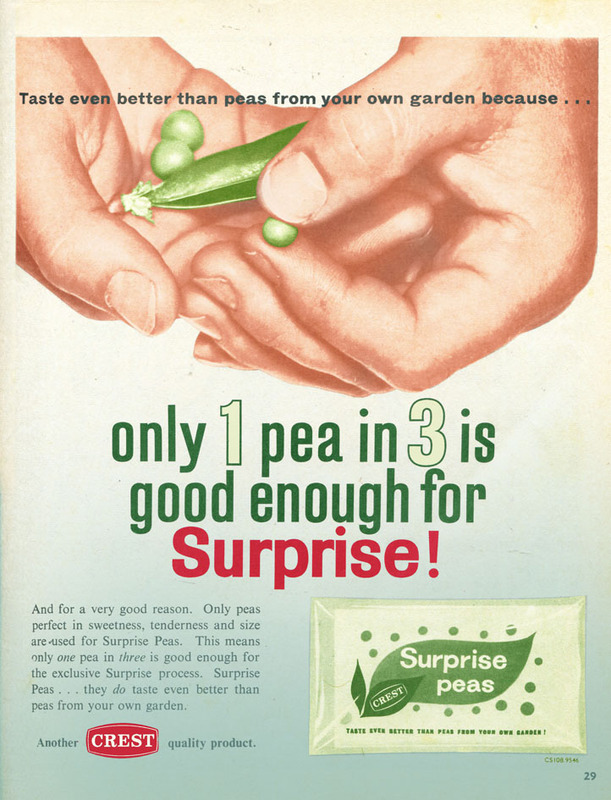 However right at the end of writing I ran across a U.K. radio advert archive which lists an ad for Surprise garden peas circa 1960 – suddenly making me wonder whether they were either exported to the U.K for sale by Unilever – or simply originally a Unilever brand all along . Something wasn’t right with my story. 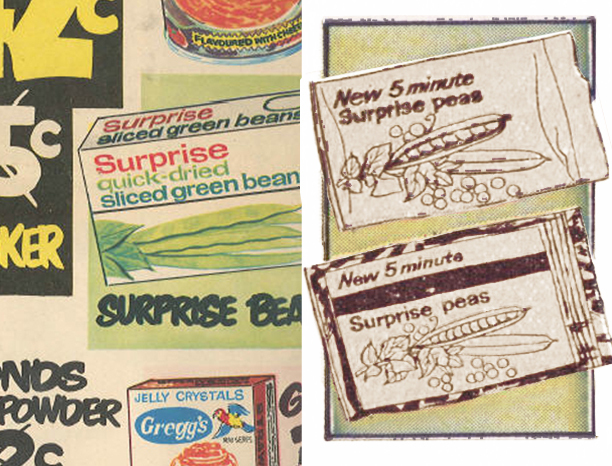 Further to that, In an online discussion about the Surprise brand one person remembers “…Batchelor’s “Surprise” peas . My father devised the name and designed the packaging…” I’d love to follow up on this line of inquiry but the conversation was unfortunately archived. Some further digging into Unilever history in the U.K. revealed that in the early 1940s Van den Bergh Foods/Unilever had acquired a fifty year old British company named Batchelor’s which specialised in processing peas. 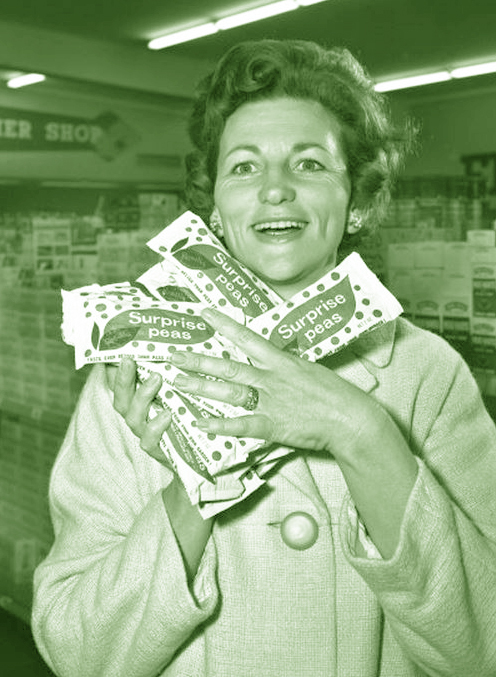 Then I ran across a 1966 promotional photo in the National Library of Australia archive of a woman holding a few packets of Surprise peas – almost the same package design I’ve featured in the 1964 advert here. However the brand name was different and after a lot of squinting I realised the product was under Rosella, not Birds Eye. Unilever were successful in a takeover of Rosella in 1963 and remained owners until 2002. With Unilever’s Surprise line in New Zealand appearing under Crest just after the acquisition of that brand, then their Surprise line in Australia appearing under Rosella just after the acquisition of that brand, I started to see a pattern. I conject that Surprise was never a Crest brand and Unilever acquired the product and technique with their purchase of Batchelor’s in the U.K. They just threw it under whatever was the most popular brand in the marketplace at the time in a corresponding country – hence it’s move to Continental when Crest was given last rites in Aotearoa. 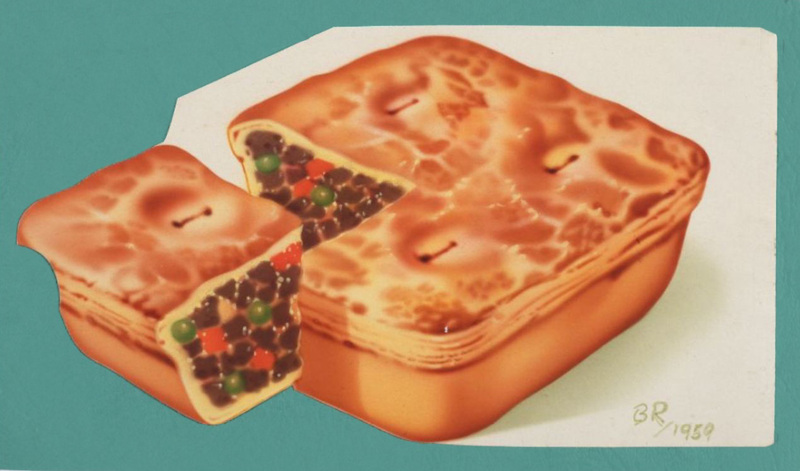 L: Surprise dried peas box from a 1977 Four Square stores brochure. 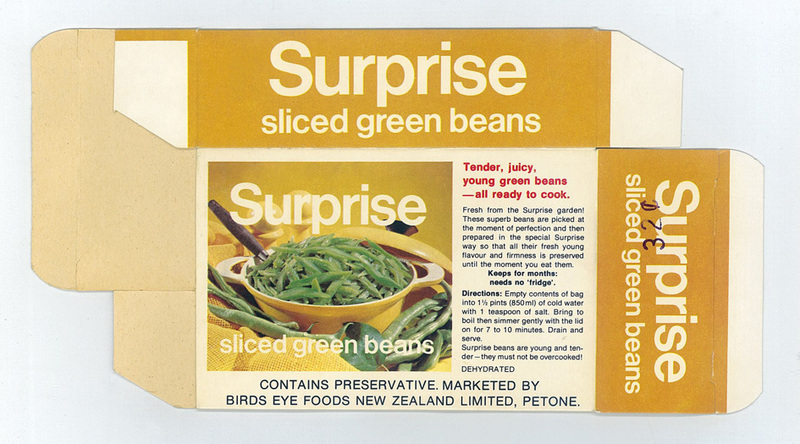 R: Surprise frozen and dried peas packets from an IGA stores shopping-themed board game issued as a promo for the 14th anniversary of the brand in New Zealand, in 1969. 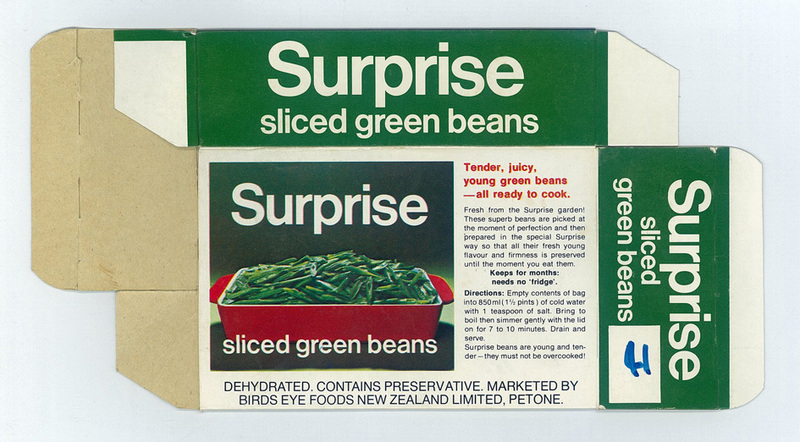 The conclusion is fairly clear that Surprise was never originally a Kiwi brand at all. The research still took me on an interesting journey, though. Although, – it seems that, despite my best efforts – this story is not quite wrapped up yet. I’d date these particular boxes I’ve recreated at some time between 1970 and 1976 (closer to the former date) based on regular changes to the packaging, as well as being evidenced by the decimal price of 25 cents. 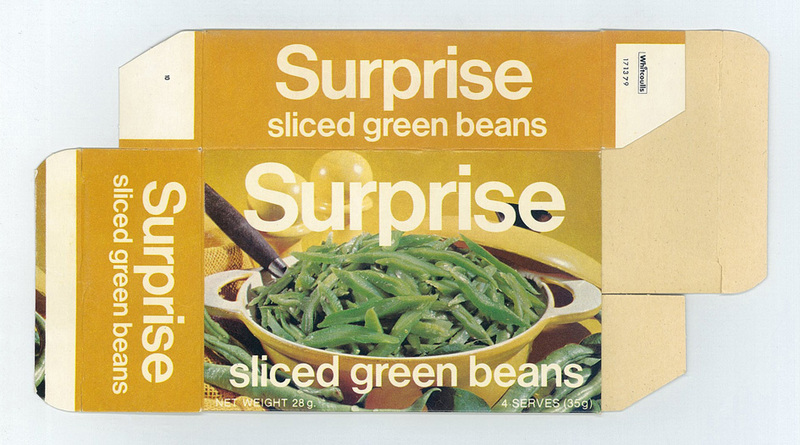 Update June 2015: Katherine Milburn, one of the Ephemera Librarians at the Hocken Library Collections archive, saw this article and was kind enough to contact me with some data on the frozen foods industry, as well as these scans of Surprise brand bean boxes. They definitely date after 1972 as the printer’s mark is ‘Whitcoulls.’ This company wasn’t producing items of packaging until that year, after a merger of huge printing and publishing businesses Whitcombe & Tombs and Coull Somerville Wilkie. However since I’ve established dates for the boxes in the main article as being in production as late as 1976 when they were still marking packaging of items with dual imperial and metrics for those slow on the uptake, that gives us a pretty good start date. As for a cut-off date, well our only clue is the complete absence of a barcode, so probably prior to around 1982. I also remember this Whitcoulls logo in use in the late 1970s to early 1980s. So, two versions of a box for the same product. Obviously the yellow one is earlier at 32 cents. Plus the mustard theme just screams of the decade they call ‘the one that style forgot’ (I beg to differ on this point). So I’d say late 1970s for this one; the green version shows the price has now risen to 41 cents so a guess of the very early 1980s. All content of Longwhitekid copyright Darian Zam © 2014. All rights reserved. Back in early November, I decided to experiment with the idea of a one day “live research” project on my sister page for Longwhitekid on Facebook, History Always Repeats. The result was The Sugar Boiler. I think it went quite well, so I decided to do another which, I think, ended up being far more interesting than the first – uncovering a wealthy, industrious and enterprising family – who contributed notably to a major New Zealand industry. It even took me back to my hometown (electronically) on land we used to roam around as kids not far from that extraordinary architectural curiosity, Swan Arch, in Henderson. This research project “Pipped By The Post” was inspired by an unusual lot that came up for auction on Trade Me a while back. This was an old fruit crate label for “Whangarei Fruit Farms”, and was accompanied by a postcard sent to an orchard inspector in Whangarei in the early 1910s from Mexico. It was so interesting I put the images aside to look into later on and see what I could find out. 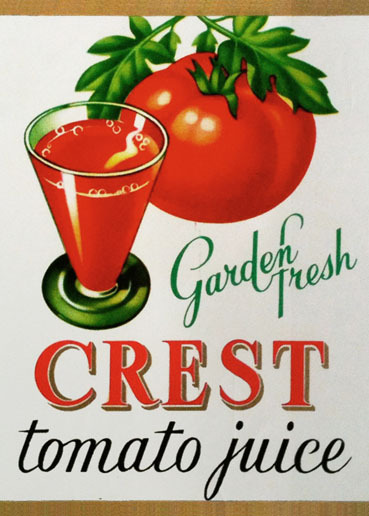 I suppose I was wondering whether there was any early connection to the hugely popular Crest Fine Foods brand which was a fruit and vegetable canning business in New Zealand from the mid 1940s through the mid 1970s (now completely forgotten). As it turns out I can’t prove that, although the items came from two brothers, and in fact involved three siblings, that there was ever any real connection between Hampshire, U.K. and Northland, New Zealand. Read away, and find out for yourself. The album is here with the comments underneath telling the story, over two days, as I progressed. Bernard Roundhill was probably Aotearoa’s most successful commercial artist, and certainly the most feted, in retrospect. He has come to be known as the “King of the Airbrush.” That’s a fair moniker; he was a pioneer and pretty much master of the technique in New Zealand. He’s also been described as “the founding father of commercial art”. This a bit cheeky as he was not – that phrase indicates he was the first and possibly also suggests he was the best. Neither of these things are particularly true. All you have to think of is Joseph Bruno Moran, for instance, and a list of others that came before him and which no doubt he was beholden to. There’s no question he was easily and heavily influenced by others and ergo, indebted to those that were successfully working previously. Born in 1911, Hull, Yorkshire, England to John William and Mabel nee Tate – Bernie, as he was known to most, had two older brothers Kenneth Spencer and Maurice William, one older sister Mabel who was born 1908 in New Zealand, and two younger brothers. John William Roundhill (b.1887), having also hailed from Hull, had immigrated to New Zealand in 1903 with his brother Alfred. They both worked as labourers in the Timaru, Canterbury area. He met Mabel Tate there whom he married in March 1905. Alfred met Mary Jane Dukes and married her also in Timaru, 1905. At some point between 1908 and 1911 the Roundhills returned to Britain, where Bernard was born. The family left England again in 1912 – for good this time. His brother Charles came into the world just before they returned to New Zealand. Many sources repeat information from others ad hoc without checking, and quote Bernard as being three years old on arrival; this is incorrect. Double page spread advert from a 1959 Edmond’s “Sure To Rise” cookbook, which I believe was the 4th printing of the Deluxe version of the 1956 8th edition. 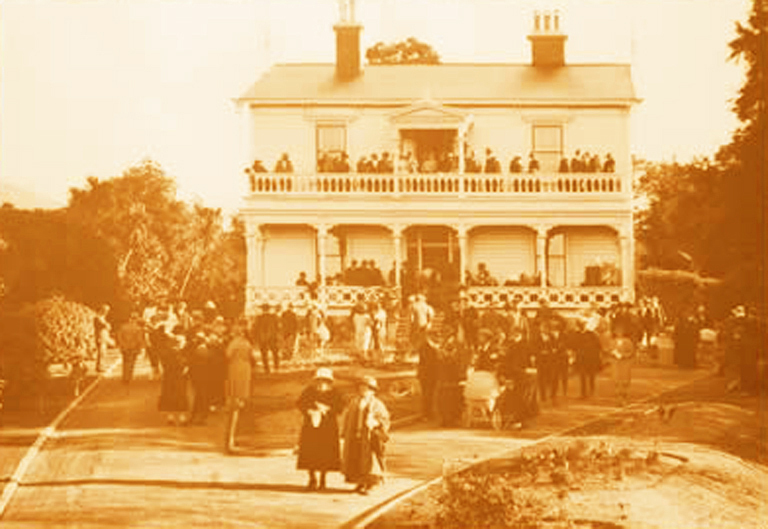 They settled in Gleniti, Timaru at first, and then later in the 1910s moved to Fairlie, South Canterbury. A younger brother , George, was born in 1917. By this time a young Bernard was already obsessively drawing. One of the stories repeated that Bernard allegedly told was of around this time, seeing the first plane in New Zealand fly over, and chasing it across the fields with 25 shillings given to him by his father to beg the pilot to take him up – thus beginning his life-long obsession with all things aviation and space orientated and the sense of freedom that entailed. How fanciful this tale may be is worth consideration given that it was not until 1920 the first flight in Aotearoa flew across Cook Strait. Only the third flight in New Zealand the following year by Bert Mercer that was in the vicinity, when he flew from Invercargill to Auckland. 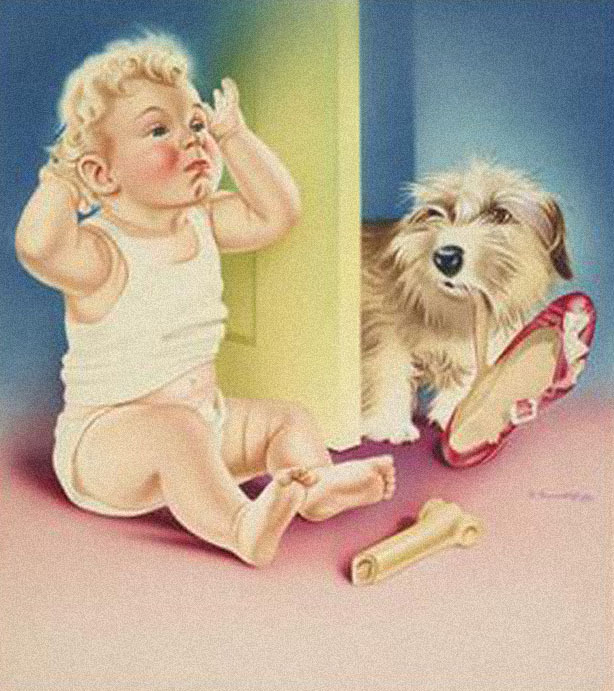 Painting of “Baby, Dog & Slipper” for a magazine cover, 1950. Image courtesy of Museum of New Zealand Te Papa Tongarewa, Reg: CA000660/001/0003. Roundhill studied architectural drafting by correspondence, in the late 1920s. Bernard was also a cabinet maker and learned the trade from his father – known as a perfectionist, as was apparently his spouse. This obviously had an impact on a formative Bernard and influenced his work practice. He then moved to Timaru around 1931 where he got his foot in the door of commercial art, trying his hand professionally at window display material – designing signs, price tags and jewellers’ cards for various businesses. During this period of the lean depression years he also created paintings on material to earn money, daubing demons and heroes on velvet cushion covers and firescreens to earn a meagre living; all the items being dispersed by two salesman friends. This followed a move to Dunedin where work was still thin on the ground, and at first he would accept anything going – recalling one job akin to performance art where he painted on the velvet dresses of live models behind the display glass of a store in The Octagon. This led to some textile design work creating floral patterns. “Fissionable Material”, framed calendar print, 1950s, likely commissioned by L. R. Allen & Co., Ltd. Image courtesy of Dunbar Sloane Auctioneers. However it was not long before he started to become successful. By 1933 he began working as chief designer for both confectioners Cadbury Fry Hudson and publishers Coulls Somerville Wilkie in Dunedin, who shared his much-in-demand services, split morning and afternoon. 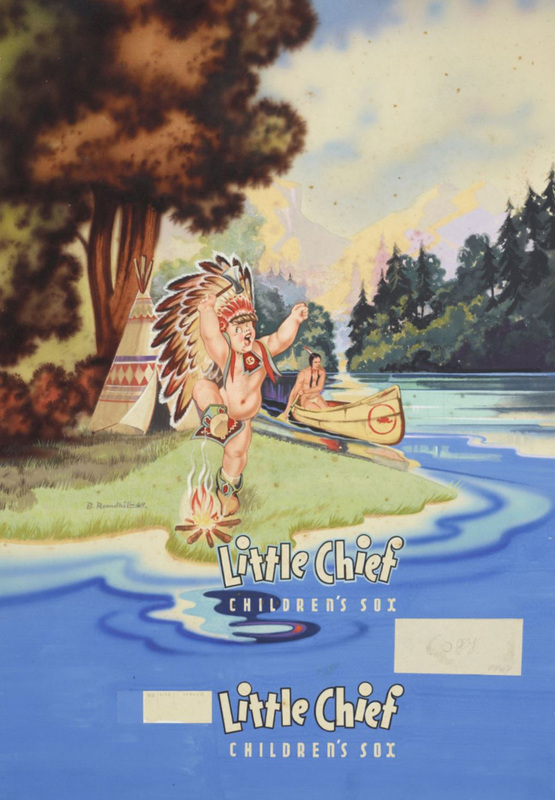 It was here working for the latter he created some of his most well-known work – the “Peter the Pilot” character for Timaru Milling Co ‘s O-Tis breakfast cereal, doing a number of adverts, packaging items, album covers, trade cards, and other merchandise; records state from 1939 to 1954. Although, Peter the Pilot had already been issued as an album by 1938, and he continued to work for this company through to at least the early 1970s. About this time, Roundhill discovered the airbrush art technique after reading articles about American and German commercial art in a magazine, and inspired by this idea he developed it for his own work, purchasing an Aerograph with a hand-pump compressor, even constructing his own equipment and customising the process in order to create the smooth, graduated and mechanical effects he wanted to achieve. By his own estimation it took around seven years of long work days to learn the craft thoroughly enough to be comparable to the commercial artists he admired – whose work filled magazines like Popular Mechanics. In 1935 he married his first wife Eileen Grace Morey in Dunedin. 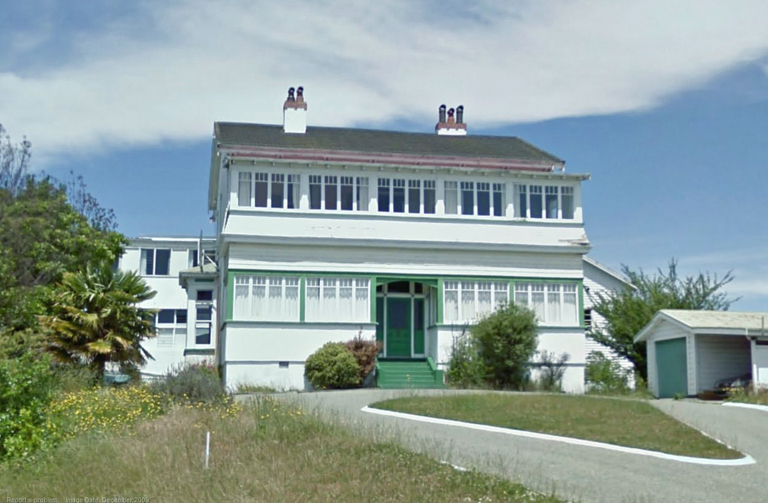 In 1938 they were living at 20 Cranley Street, Dunedin Central, – but then the same year they picked up and relocated with Bernard’s parents at 11 Littlebourne Crescent. Just to add to a crowded situation, Bernard’s brother Kenneth, a carpenter, was also living at the family home (his father John William was also now working as a carpenter). At this time Roundhill worked on the 1939-1940 Centennial Exhibition, as well as for Wattie’s (canned foods) and Speights (beer). 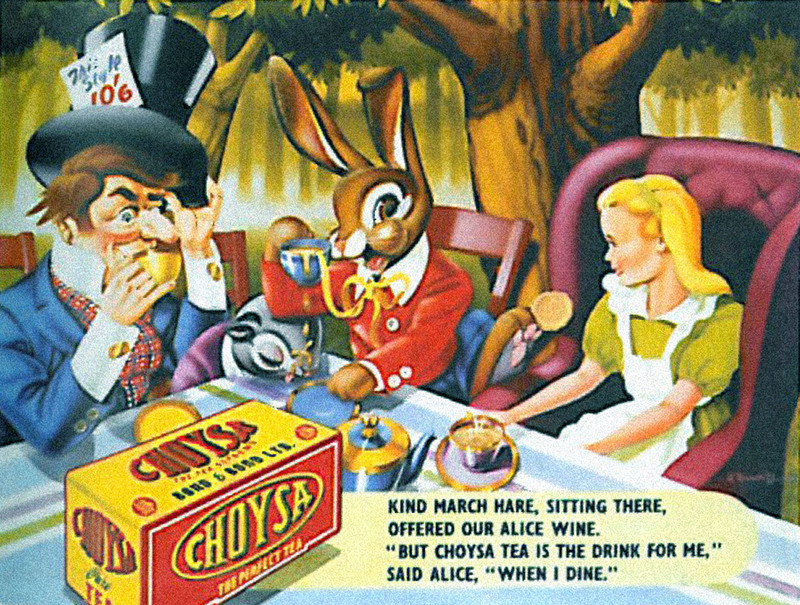 Choysa Tea advertisement, for Bond & Bond, 1950. In 1942 he moved over to the Royal New Zealand Air Force and worked for the Government architect’s office. 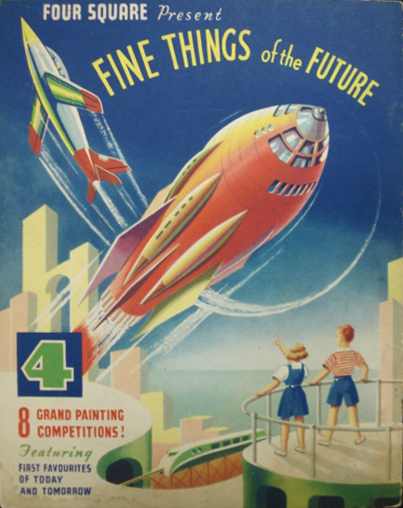 All seriousness and secret business aside, Roundhill developed “Wing Commander Duval Dimwit” for their instruction manuals during this time to bring “a little humour into them” in the vein of the RAF’s Pilot Officer Prune – and also did brochure covers and pin-up art for aircraft noses, basically whatever was required or desired. It is said he moved to Auckland in 1939 although this cannot be true since his second wedding was in Otago – it wasn’t that long before the marriage with Eileen foundered and Roundhill had met someone else. I think biographers are confused in regards to Bernard’s service in which he was stationed in both Auckland and Wellington during those years, but not permanently. Eileen and Bernard begun divorce proceedings in late 1943. Still in Dunedin, he married his second wife Olive Ella Tasker, whom he had met in Wellington in 1944 whilst still with Eileen. In the process of research, I trawled through five hundred or more newspaper articles which ended up being mainly of various seemingly unrelated Roundhills competing in sports tournaments. There were adverts for a Miss M. Roundhill’s dress-making studio in the late 1930s-early 1940s in Lower Hutt (Alfred, Mary Jane and daughter Mary had moved there in the late 1920s). But there was hardly a thing of note – apart from his and Eileen ‘s divorce noted in an article unflatteringly entitled “Unhappy Marriages”. So where was the scandal? That was it, I’m afraid – three wives and only one dissolution. The rest of the time it was clearly nose to the grindstone giving a glossy finish to plums on can labels – if any company wanted plump berries and healthful, fresh-looking vegies, or hi-tech planes and spacecraft from another world – Roundhill was the go-to guy for quite a stretch. Leigh-Ellen recalls Bernard was a very keen gardener, landscaping the family home and “grew wonderful vegetables, as well as planting many fruit trees which I used to climb”. No doubt the bounty from this was inspiration for his illustration work. Colouring book cover designed for Foodstuffs (NZ) Ltd’s Four Square stores, 1954. Private collection. Roundhill does not appear in the electoral roll in Auckland until 1946, so he and Olive must have made their move in 1945. During this period came a stint at an advertising agency studio; but it wasn’t long before he set up a freelance studio in Commerce Street. The couple resided in Dedwood Terrace, Ponsonby until the late 1940s to very early 1950s – when they moved to 1 Ranier Street, Ellerslie. 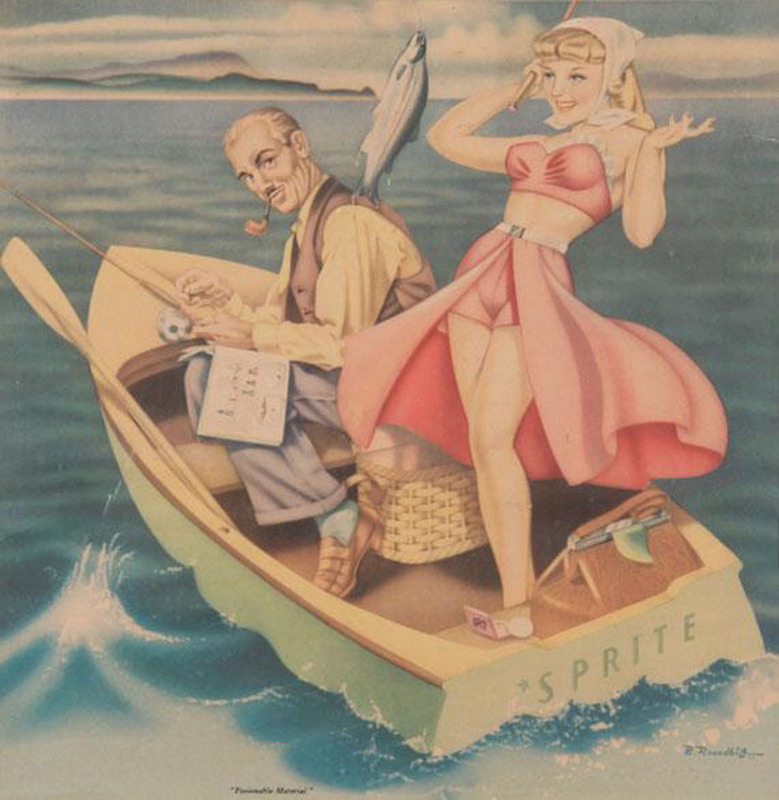 “A Treat in Store”, image possibly from a calendar, designed for Foodstuffs (NZ) Ltd’s Four Square stores, late 1940s-early 1950s. Private collection. By 1947 He was airbrushing ink and gouache with an air compressor and adding watercolour brushwork by hand on top to create illustrations with a highly finished look that nobody else was achieving. 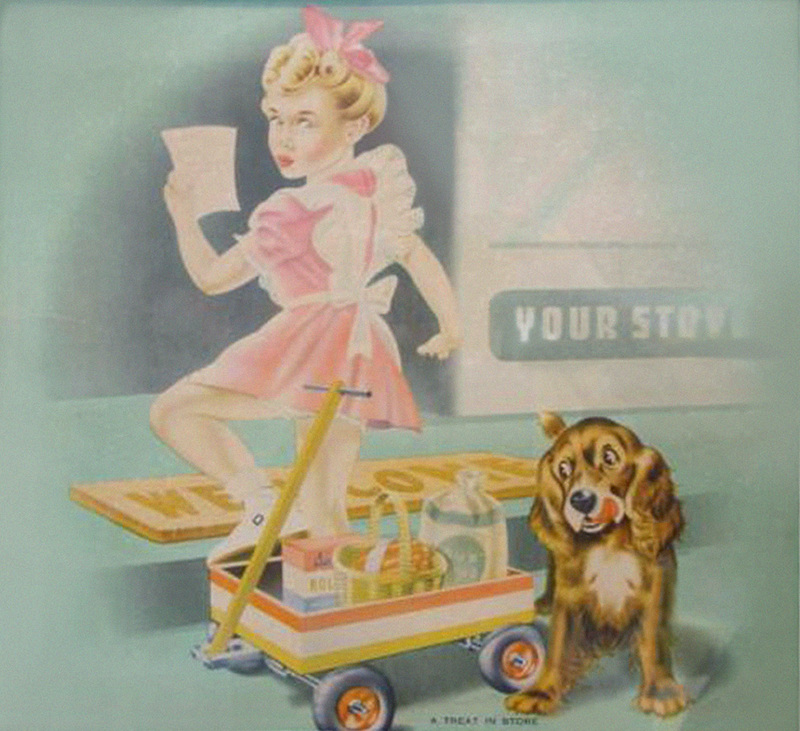 In “A Treat In Store” A girl accompanied by her spaniel and a trolley full of products (such as Bird’s Custard) in tow, is about to enter a Four Square corner store holding a shopping list. It is so obviously Roundhill work done for Foodstuffs New Zealand Ltd (Four Square and Pam’s), and is very reminiscent of his other softly-hued cheesecake work like “Fissionable Material”. His pastel period of the late 1940s and early 1950s was all pinks, mints and aquas – and took a queue from the saccharine, romantic stylings of the very popular 1930s American calendar artist Mabel Rollins Harris’s idyllic works of children and glamour pin-ups. Even so the earlier work, such as his Peter the Pilot items, was markedly awkward and clunky in comparison to the later slick illustrations that became his trademark . Even further down the line when he’d really hit his stride, it was very hit and miss – there was often something a little wooden, and slightly distorted-looking about his renderings of people unless cropped close in a frame or off to the side to mask it. They were mostly neither graceful or believable; it was almost as if finish upstaged focus on form. Nevertheless, this work was still popular with clients – but let’s face it – still objects were his forte. Tomatoes and beans did not have to kick a ball or unfurl a sail. 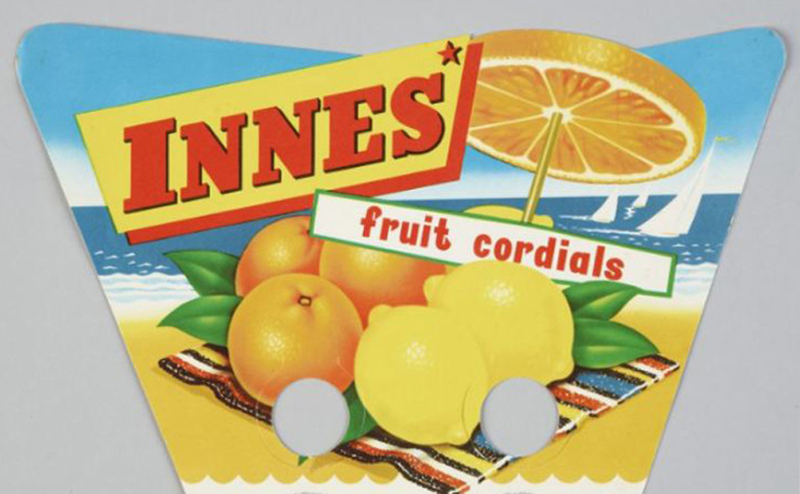 left: Innes cordial label, late 1950s, Image courtesy of Mike Davidson collection. 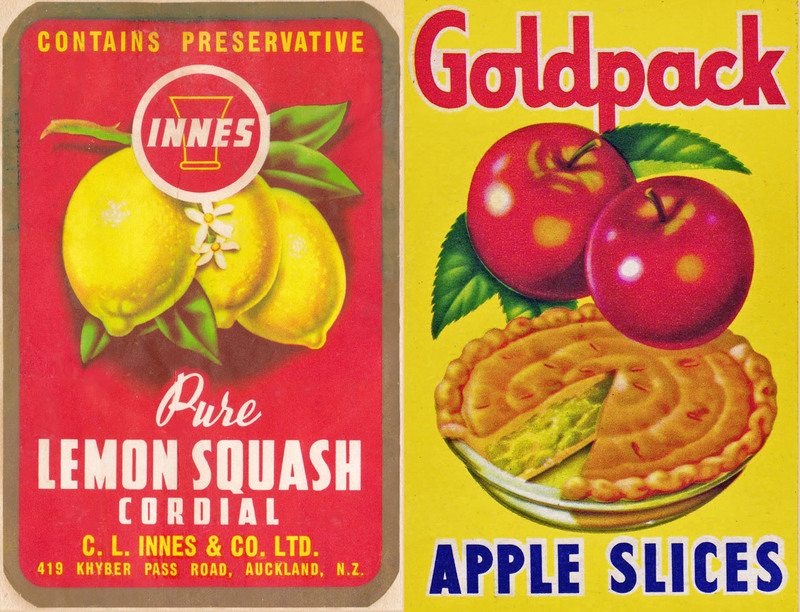 Right: Goldpack dried apple box, late 1950s, private collection. From here he segued into calendar pin-up work of the early 1950s which he excelled at, probably because they were quite still and posed. Heavy influences are obvious on Roundhill’s cheesecake work from Alberto Vargas, George Petty, and the art direction of Esquire Magazine. 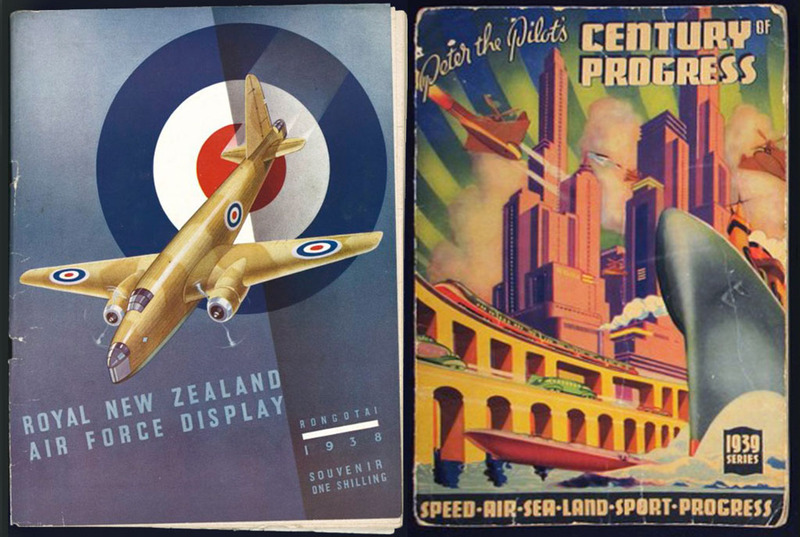 They were created for Auckland calendar company L. R. Allen & Co Ltd. Auckland (which is still operating today), and some were used for W.D. & H.O. Wills (cigarettes). Roundhill worked for many years as a freelance artist and purportedly established the Roundhill Studios, a large, stylish deco-style building – in Auckland in 1974 according to one of a few short articles that have been written over the recent years. Although the electoral rolls always give the address as Onehunga, it was actually in Ellerslie – at the same address as their home. Then another source describes his Ellerslie studio as “pre- supermarket days”- so 1950s. Innes Cordials packaging, for C.L. Innes & Co. Ltd., 1956. Image courtesy of Museum of New Zealand Te Papa Tongarewa, Reg: ACA000672/003/0007. There were two children of the union with Olive, previously mentioned daughter Leigh-Ellen – and also Dean Bernard Roundhill – who born in 1953. Leigh-Ellen says “It is possible the studio became registered as an Enterprise in the 1970s – but was indeed up and running by 1958. I remember a great deal of the studio as it was a big part of my life; this is where I grew up. My first recall is during the construction of the studio in 1957. It was attached to the family home in Ellerslie. Still only crawling, I climbed over all the building materials being used – only to be rescued by Bernard who was two thirds up a two storey ladder at the time. 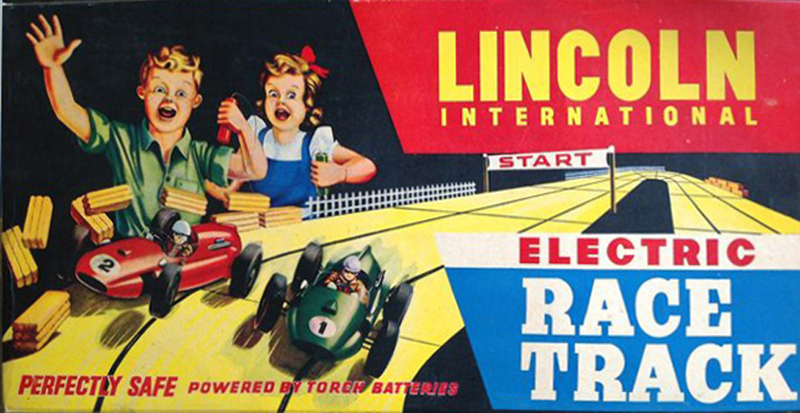 Lincoln Electric Race Track box, 1950s-1960s, image courtesy of Clayton Blackwood collection. 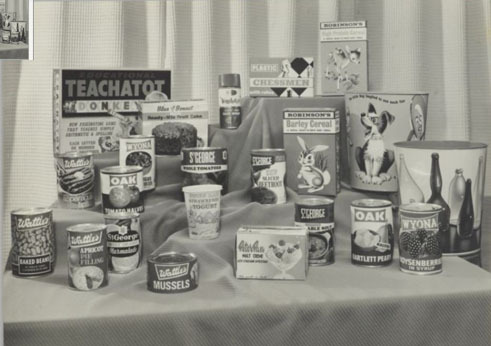 As far as canned (and boxed) fruit and vegetable products, Roundhill was known to have worked on label illustrations for Wattie’s and Wyona (General Foods), Crest (Butland), OAK (Thompson and Hills), St. George (Irvine and Stevenson), and Kia-Ora (Whittome and Stevenson) amongst others from the late 1950s through to at least the early 1970s. He had a fairly distinct style and his work was much more polished than other illustrators due to his technique. He was probably responsible for the majority of these designs in the marketplace for at least a couple of decades. 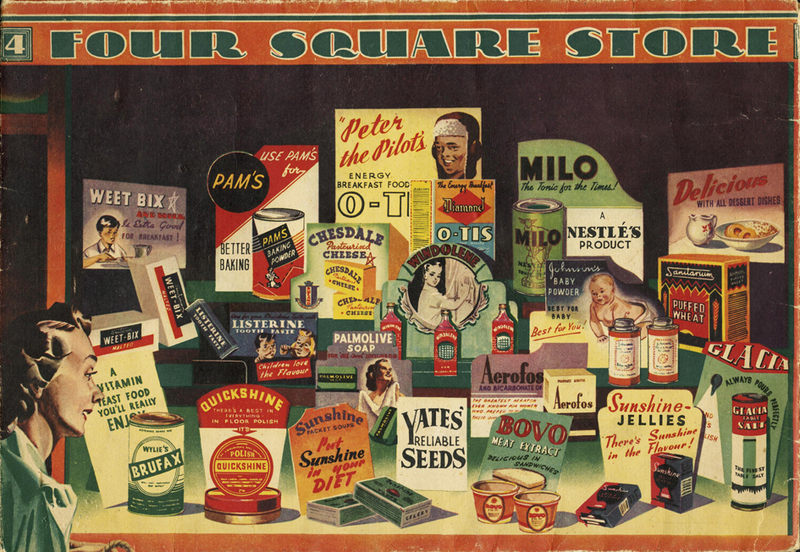 As well as can labels, the studio was producing designs for a wide range of products from puzzles, mobiles, and calendars to wrapping paper, chocolate boxes, magazine covers, stationery, food packaging, and board games. Clients of this period included Little Chief (children’s socks), Winstone’s Limited (building materials), seed packets for Yates and McKenzie’s Stores, and The Mirror magazine. He worked on Butland Industries’ Goldpack brand, as well as their fictional home economics rep Judith Ann Field, and mascot character Skippy the terrier for Champ dog food. Holdson, Lincoln, and Philmar (board games and toys), New Zealand Home Journal, Diamond cereals and pasta (Timaru Milling Company Ltd), The New Zealand Ministry of Tourism, Ballet Russe (makeup), DB Lager (Dominion Breweries Ltd), Innes (soft drinks and cordials), Bond & Bond Ltd (Choysa Tea), Dolphin (swimwear), Edmonds, and aforementioned Foodstuffs NZ Ltd brands. I am sure this is just a small sampling of companies he completed work for. OAK orange marmalade can label, for Thompson & Hills Ltd., probably early 1960s. Image courtesy of Mike Davidson collection. 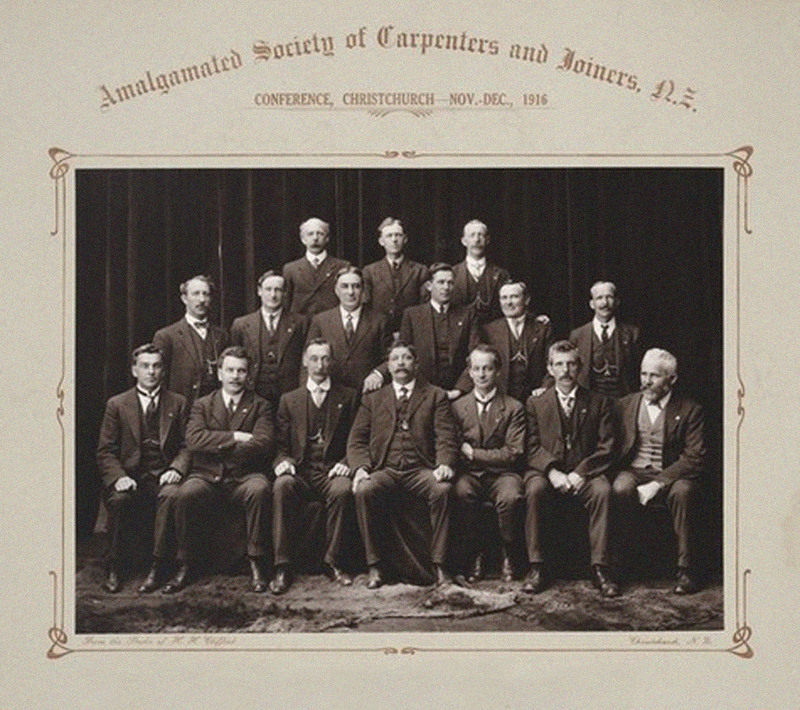 Amalgamated Society of Carpenters and Joiners Conference, Christchurch, 1916. There is a Roundhill specified in the group, probably Bernard’s father John William – I am guessing middle of back row based on physical appearance. Image courtesy of Alexander Turnbull Library, Ref: PAColl-D-0423. However as his work progressed through the 1950s and the 1960s, the crafting of it became extraordinarily precise. The highly polished shapes and forms comprising his work were solid, smooth and soft cubist; reminiscent of Tamara de Lempicka’s celebrated Art Deco era portraits of European café society. 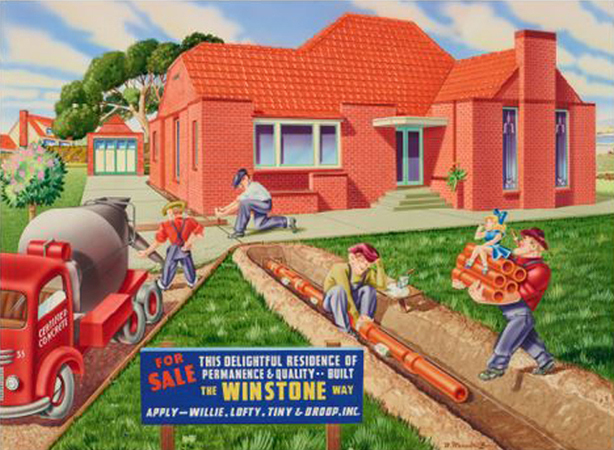 The portfolio of images he created for Winstone, featuring the characters Willy, Lofty, Tiny & Droop are exemplary of this period. Left: “I Haven’t Got Much On Today”, 1950, Image courtesy of Museum of New Zealand Te Papa Tongarewa, Reg: CA000661/001/0006. Right: “Forgotten Something, Honey?” 1950-1951, Image courtesy of alisonmc on Flickr. Both likely calendar prints commissioned by L. R. Allen & Co., Ltd. 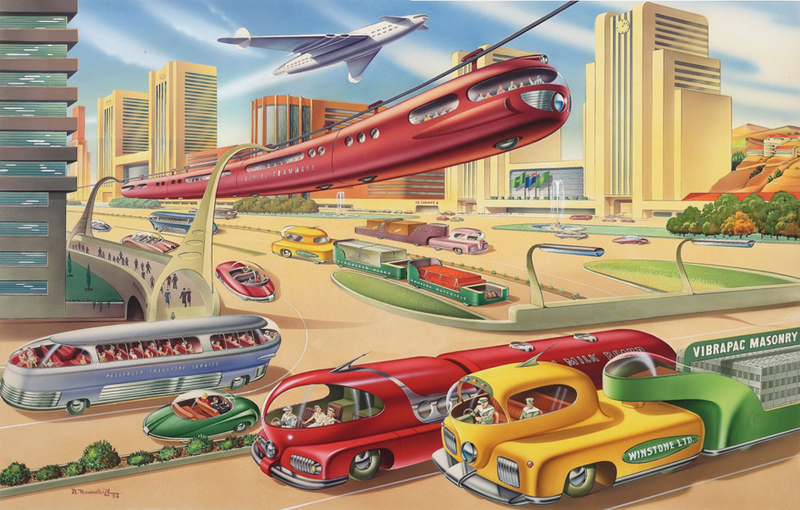 In 1956 he designed his most famous illustration, the one that many people are familiar with – “Auckland in the Year 2000” – for Winstone’s, featuring streamlined, high tech craft whizzing between futuristic buildings of downtown Auckland, a feat of swooping late-Deco inspired line work exquisitely rendered to finished perfection with the airbrush by Roundhill. Interestingly, the illustration he is celebrated for was completely his own concept and creation, given carte blanche by the client to do whatever he liked to fill a double-page spread. 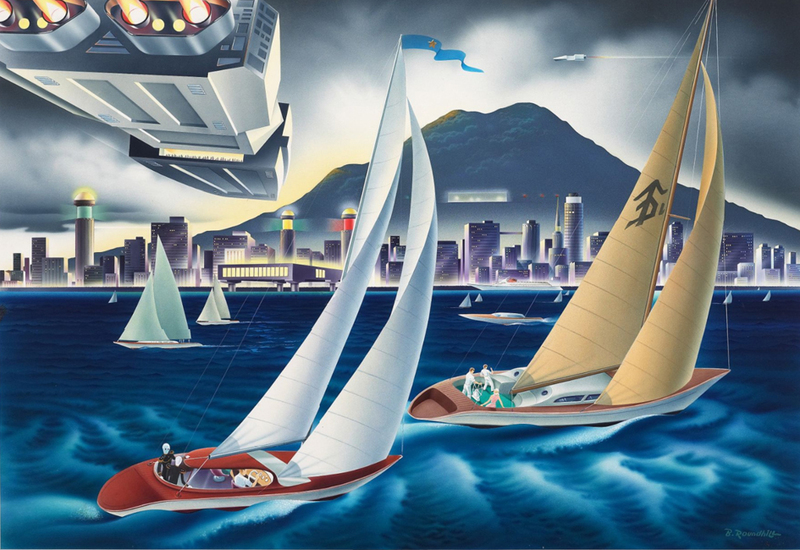 Also the influence of his early Scientology days, shine through in his work – in particular “The Ambassadors”, featuring space craft zooming over a futuristic Auckland harbour with Rangitoto looming in the background. The intergalactic pulp science fiction concepts, masquerading as religious tenets – of fiction writer L. Ron Hubbard who founded the movement – are obvious even down to the weird logo on the ship’s sail like a mutated cross between the Thetan and Illuminati symbols. This illustration somewhat mirrors the fable that Xenu brought billions of people to Earth in spacecraft resembling futuristic airliners, and stacked them around volcanoes. Still, they are rather visionary and you can compare them with what has come to pass in contemporary times and there are some remarkable features that have fortuitously become realties. 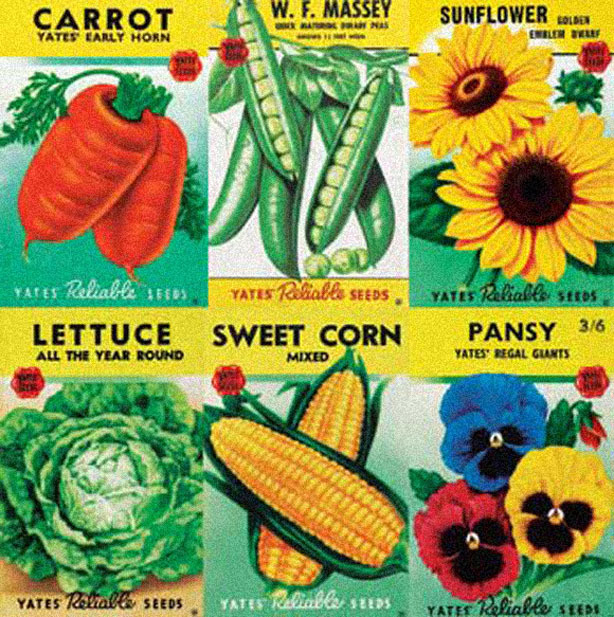 Yates seed packets from the 1960s, Image courtesy of Sarah E. Laing collection, 44 Ways of Eating an Apple blog. Roundhill, described as a quiet and withdrawn persona, had embraced the wacko cult in 1953, along with his wife of the time, during a period when he was, besides running the studio, deputy mayor of Ellerslie Borough (he had spent a number of years as a council member previous to this). An acquaintance who was teaching him the art of public speaking, passed him a book on the religion. He said of himself he “learned, through Scientology, to create art that could communicate to people…. (through it I) received validation and learned to do it better and better.” The last part may have some basis in truth but the former is quite debatable since Roundhill had effectively been “communicating to people” very successfully through his work for a good twenty years before the religion ever came into his life. 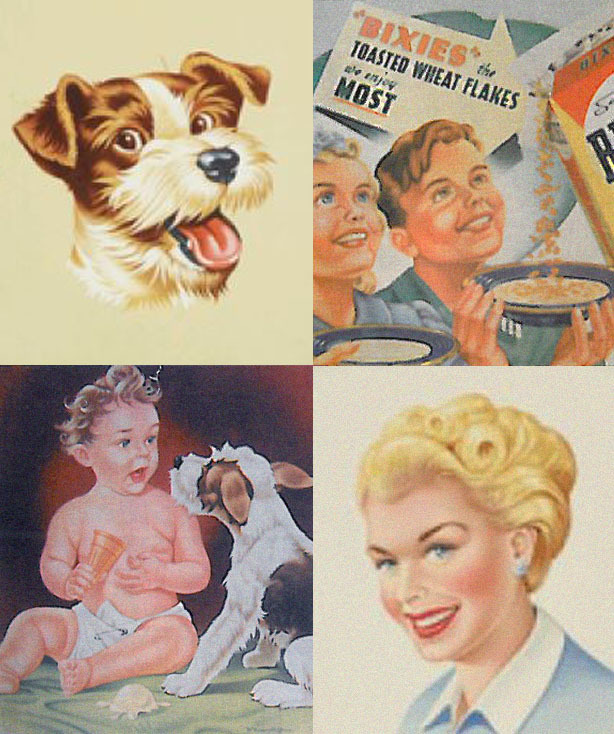 Clockwise from top left: Portrait of Skippy the Dog, for J.R. Butland’s Champ pet foods, 1950s, Image courtesy of Museum of New Zealand Te Papa Tongarewa, Reg: CA000672/003/0008. 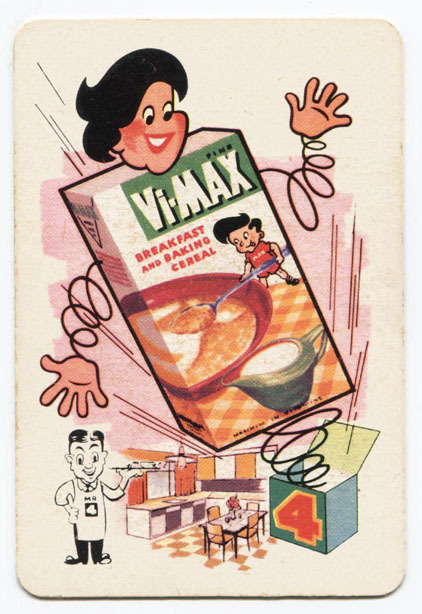 Point-of-sale advertising material for Sanitarium’s Bixies cereal. Portrait of Judith Ann Field, the fictional home economics rep for J.R. Butland’s Crest Foods, 1953. Image courtesy of Museum of New Zealand Te Papa Tongarewa, Reg: CA000662/001/0004. Painting of baby with ice cream and dog, probably done for a magazine in the early 1950s. Along with gravity, communication and its language was a concept that fascinated him and he ruminated on often as he undertook his work – of which he had an extraordinary ability to focus on, to the point of being able to exclude everything else going on around him that may have been distracting. “When I’m doing artwork, there’s nothing else in existence as far as I’m concerned” he once said. 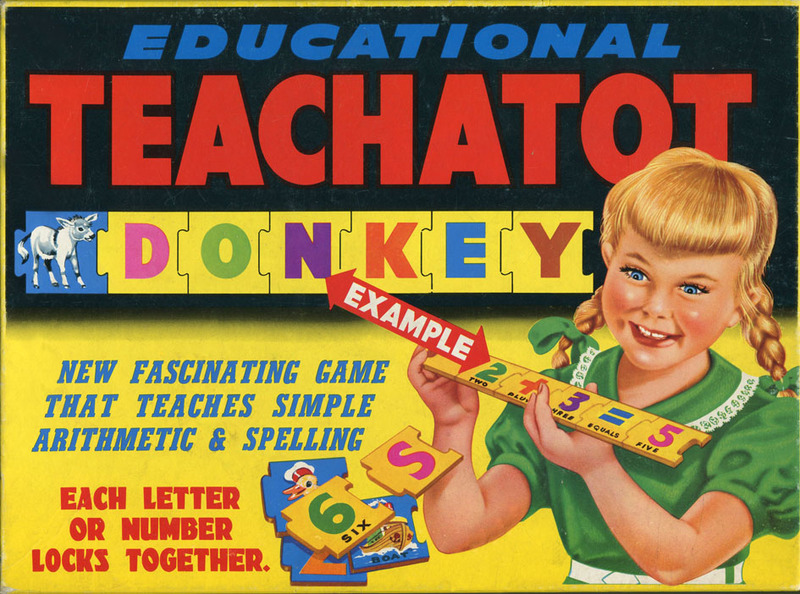 Holdson’s Teachatot game box for Thomas Holdsworth & Sons, issued 1961. Private collection. During the 1960s and 1970s, he was a very busy designer and continued to complete a huge amount of work. He may well have been the most prolific commercial artist during that time. Between commercial work that continued to flow in – he returned to his former Depression-era occupation of painting mystical and symbolic scenes on dark velvet; he had flirted with this style again in his spare time in the 1950s, making greeting cards. His creations in this genre were fantastic, kitsch, and…pretty awful really – in fact so much so that I am not going to include a picture of one (it’s true what they say about not quitting your day job). For someone who had built a reputation for cheerful, colourful and glossy work, these tacky renderings of Kingfishers, sailing ships, woodsmen and deer were surprisingly dark and creepy. But really, when you look hard at the characters in his commercial work like his portrait of Judith Ann Field and others – there is something slightly unnerving about their glazed stares and sinister Stepfordesque perfection – like they are aliens that have been zipped into a full body disguise. 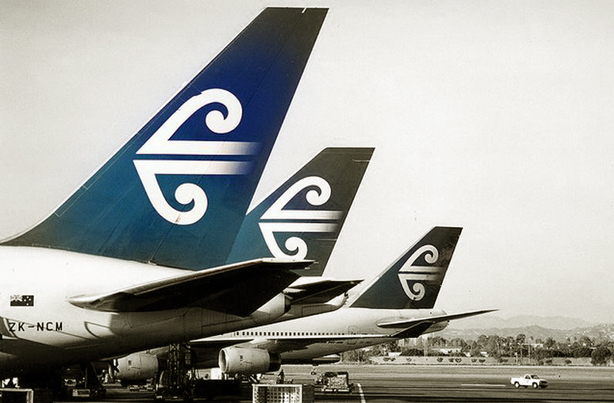 The most famous design he produced from the studio in his long career, one that went around the world, over and over, was during this period – the Air New Zealand Koru which was apparently designed originally in 1965 when TEAL became Air New Zealand and looked to replace its Southern Cross logo with something new and innovative. The koru was first applied to the tail of Air New Zealand aircraft with the arrival of the DC-10 in 1973, and has remained in use ever since. Leigh-Ellen recalls: “I was banned from the studio when they were working on this, which was created by (graphic designer) Ken Chapman. I reasoned my way around that, and I watched the development of the project which was very exciting. I saw a lot of confidential things go on during it.” Although Roundhill mostly gets complete and unquestioned credit for this design, it seems he only came up with the original concept that was repeatedly returned to the drawing board, re-designed, developed and finished by members of his staff. In amongst this period of great success resulting in the zenith of his most famous design – was also a period of tragedy for him. In 1967 his mother and his father John William and Mabel Roundhill both died within the year (sister Mabel had passed away ten years earlier). Then in 1969 son Dean Bernard Roundhill was killed in a road accident with a motorcycle at just 16 years old. Kia-Ora jam can label, for Whittome & Stevenson, probably early-mid 1960s. Image courtesy of Mike Davidson collection. However clients kept him occupied while he delegated jobs to a staff that swelled to as many as sixteen at times. 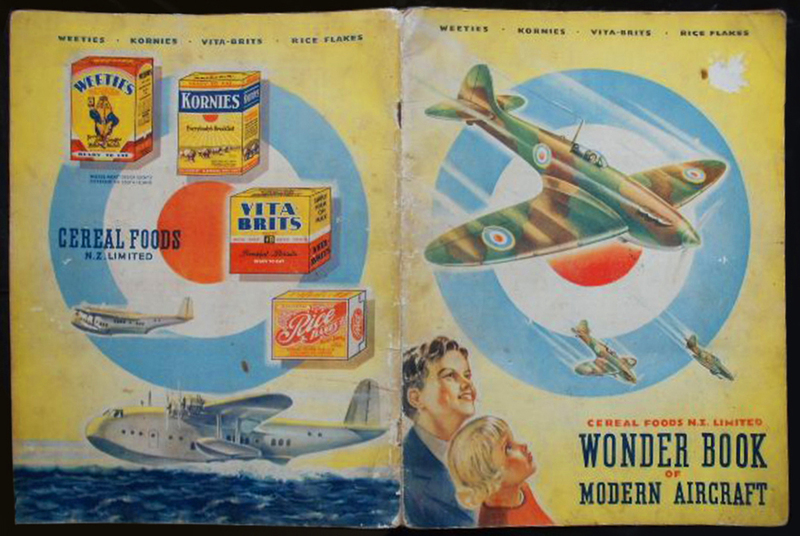 As well as most of the clients listed of the 1950s, in the 1960s-1970s Roundhill added Peter Pan (ice cream and frozen foods), Air New Zealand, Robinson’s (cordials and baby foods), Jason Products (placemats and coasters) Blue Bonnet (spreads and jams), Wonderset (hair products) Yukich’s Montana Wines, Swiss Maid (dairy), Craig’s canned foods, sauces and jams (Butland Industries) and Qantas amongst his roster during this period. Initially he had started employing others post-war period to help with the more tedious jobs like lettering, but the studio, which also had the rare distinction of being independent from an advertising agency, produced a number of respected designers like John Woodruffe and Graham Braddock. It wasn’t until the mid to late 1980s that Roundhill finally dipped his toe in the digital world of production – converting the studio which previously had run without even a photocopier. In 1988 Bernard Roundhill was presented with the Gold Axis Award by the New Zealand Advertising Institute, for excellence in advertising communication and craft excellence. At the time it was only one of three that had been bestowed. 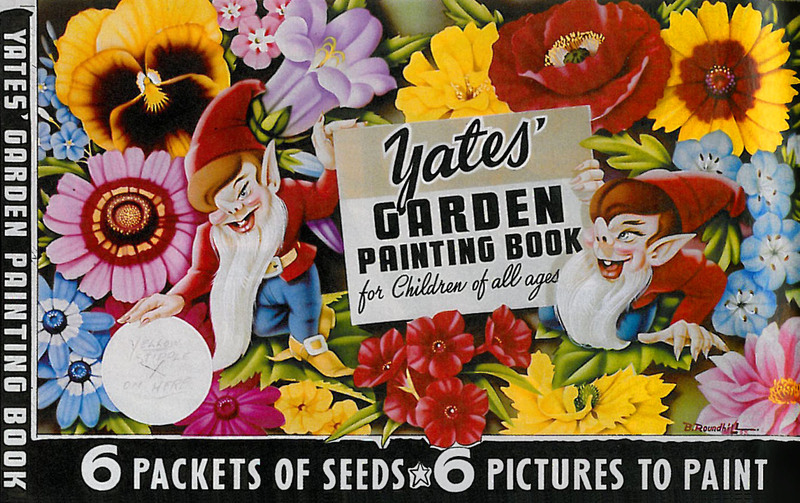 The Yates Garden Painting Book for children, issued 1953, replete with evil gnomes to give you nightmares. After Olive died in 1984, Roundhill married for a third and final time – to Peggy Lee (not the celebrated crooner). Peggy was a widow who had one son from her former marriage. She also claimed she was a writer and director, as well as a “highly trained” scientology counsellor. Peggy was a few years behind Bernard, having discovered the religion in 1961 through the Dianetics book which was held at Auckland University. It was after his second wife died they found had their faith in common; whether they knew each other earlier on is unknown but highly likely. They soon sold the Ellerslie property and moved to a cottage in Torbay. Air New Zealand craft with the Roundhill Studio’s Koru design. Image courtesy of and © dbcnwa on Flickr . His relationship and union happened with Peggy very quickly – who was by all accounts a very charismatic individual with “enough energy to power the national grid.” Controlling and possessive – she essentially closed Bernard off into a spiritual bubble, alienating him from his family. Leigh-Allen says “…I became estranged until two weeks before he died. I was banned from retrieving any of my, or my family’s things, from the house after (Peggy married him). Peggy told a lot of tales and I think Bernard just gave up (fighting it).” One journalist described her style as “cheerful embellishment.” Apparently in her world the truth was highly negotiable if inconvenient – see earlier story about Bernard and the aeroplane, which may have had a vague basis in legitimacy – but was pretty far-fetched by the time she had re-styled it. So devoted were they that by 1994, the couple moved to Southern California to teach and lecture on the religion. To say that a move to the other side of the world to establish a new life in his early eighties was risk-taking is an understatement – not only was he very elderly but Bernard was suffering from Parkinson’s Disease. The couple spent much of their savings trying to find a cure and when the money and will power ran out – they decided to go home. By the early 2000s they had returned to New Zealand and were living in Mairangi Bay on North Shore, Auckland where Bernard indulged in his favourite pastime; gardening. Towards the end, Peggy undertook the administrative role for Bernard’s art studio, which seems to indicate he continued to work in some capacity – although seemingly he started wind down commissions in the early-mid 1990s when his illness got the better of him. Nevertheless, he had been kept busy work-wise well into his eighth decade. When working in other styles and genres such as the cartoonish and quirky “Surfing Santas” design for wrapping paper of 1950 – Roundhill showed that he was perfectly competent in capturing action adequately (although, on reflection, it seems likely this was designed by an employee). Everyone knows I am a devotee of some of his work like his hyper-real illustrations for Holdson; however his irregularity in a stellar level of illustration across the board tempts me to dub him overrated in comparison to the international greats – for as innovative as he was – butted up against them he tends to regularly fall short in consistence as well as imagination. The majority of his work speaks little of New Zealand culturally in that unique manner that defines such things as Kiwiana, and as such cannot claim that differentiation from the international work of others that would really propel it into its own unique genre. But this is what happens when an attempt is made to reframe commercial work as high art – a concept and distinction that Roundhill always stated he was indifferent to; it is voluntarily judged under the harsh light of a new work lamp. More than anything his oeuvre’s real value is as a time capsule of product showcasing packaging and advertising that stretches nearly seventy years. 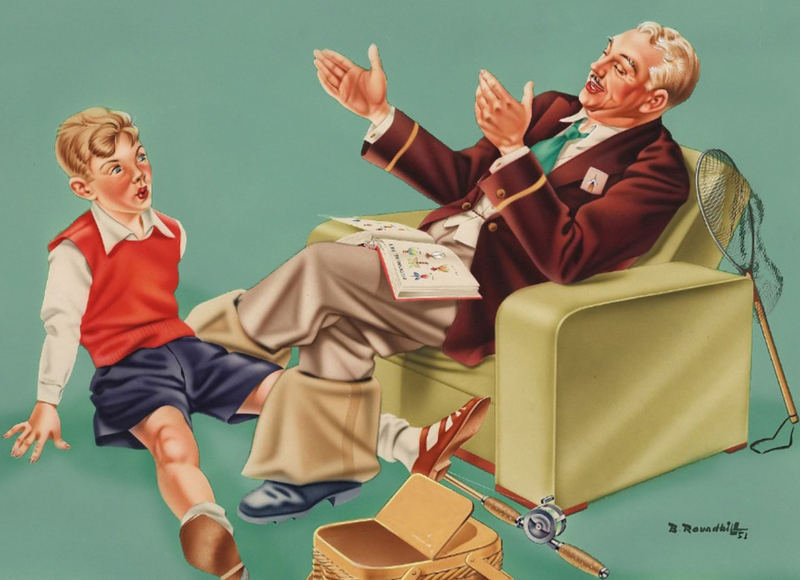 Although inspired by Norman Rockwell and his luscious Coca-Cola adverts, amongst other celebrated illustrators – Roundhill never quite reached that level excepting some of his brilliant futuristic scapes and was rightly awarded for them; but as such he ultimately may have just been a big fish in a small retouched pond. Thanks to: Bridget Simpson, Reference Librarian, Central Auckland Research Centre, Central City Library. Jennifer Twist, Archivist, Museum of New Zealand Te Papa Tongarewa. Leigh-Ellen Roundhill, Grant Cathro, Peter Michel, Lemuel Lyes of History Geek and Mike Davidson for interviews, images, and assistance with research. All content of Longwhitekid copyright Darian Zam © 2013. All rights reserved. As much as I have a vast storehouse in my cranium (although I still think I know very little and have a lot to learn) and a huge collection of images and books to draw on – sometimes it is just no help. Point in case is this snap set that Foodstuffs (N.Z. ) Ltd , owner of many brands which I previously covered here, issued as a (presumably) give-away promotional item – something they did a lot of to promote their business over the years (I cover all that in the linked article). Back in the day all kinds of card games were a very popular pastime. I’m not sure when they started to fall out of favour, but I’m taking a guess at the early 1980s – coincidentally around the time that computer games popularised – small hand-held consoles like Donkey Kong were a “must have” for us kids and probably the death knell of more manual entertainment. This particular set was issued for Four Square supermarkets – but this is not the only promotional card set they did – there were two happy families sets over the years – one which I think was done in the late 1950s (I’ll get to that further on) and another one around 1981 (which I have posted on a few times over the last couple of years as I make my way through restoring and exploring each set). Anyway, with the one I showcase here – I am really not sure on exactly when it was produced – you would think with over ten different products it would not be so hard to work out with their combined company histories. Not the case. Many of these products had already been around for decades and had changed little – subtle adjustments to packaging can be a good indicator of dates. 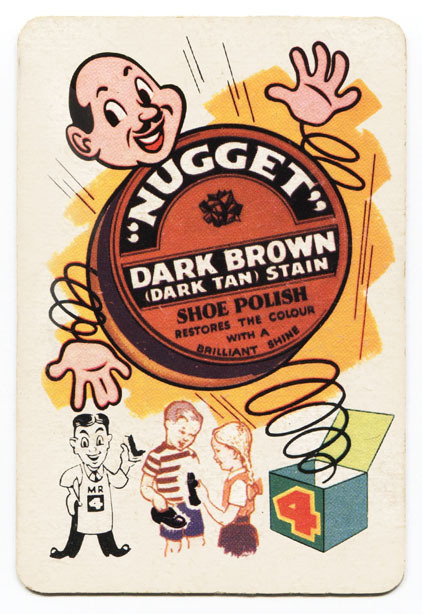 However the design of Nugget polish featured, for instance – is of little help when it comes to narrowing the date as the design was barely modified over decades and was in use through the 20s, 30s, 40s, 50s and into the early 1960s. One telling point which helps me “arrange” the timeline is that Foodstuffs issued one of the happy families game sets around this time – I believe for a number reasons just previous to the snap set coming out. 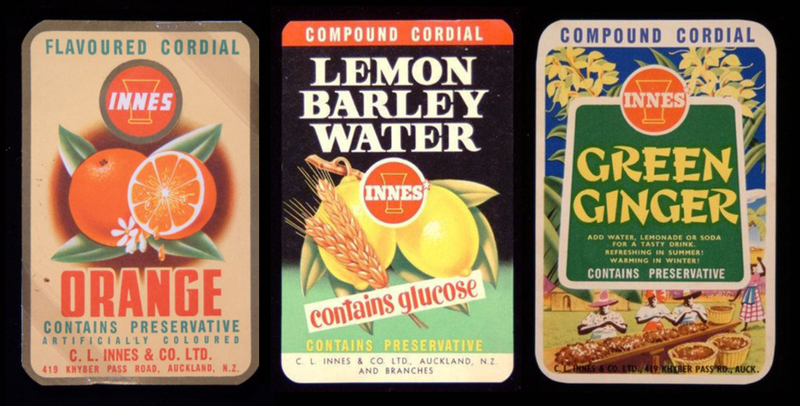 Some of the cards from the slightly earlier happy families set issued by foodstuffs in the late 1950s, but featuring many of the same products. Why do I think that? Because unlike the snap set – it features three products that have some clues that help me date it as such – and those are Crest canned foods, Jojo jelly crystals, and Rawakelle tea. I know that Crest Fine Foods was sold in 1959 and the logo was being changed very shortly before that date. In fact I have some of the labels where the art department for Butland Industries has painted out the old logo and pasted a new one over it – so “in transition” at this point. The happy families set shows the old logo . A photo of a Woolworths store of 1964 shows the logo fully changed over. The snap set shows the new logo as well as a completely new can design for tinned peaches. 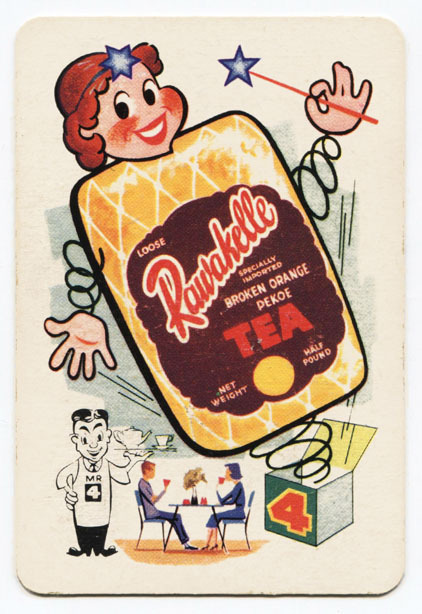 Also, Rawakelle tea, which is also featured, was like Pam’s a Four Square/ Foodstuffs (New Zealand) Limited brand that was launched in 1957 . Jojo jelly, also featured, was launched in 1958 by N W Stevens/The Kiwi Polish Co Ltd that also produced Lushus (many baby boomers will remember this very popular jelly crystal brand) as well as a number of other desserts. So the happy family set was produced after 1957 and likely before 1960. And where does that put me with dating the snap set? The snap set features a new design for Crest peaches so that’s my cut-off date on the lower end of the scale. It’s also worth noting that in the meantime since the happy families set had been issued – the Rawakelle packet had been the recipient of a makeover – but not wildly different. 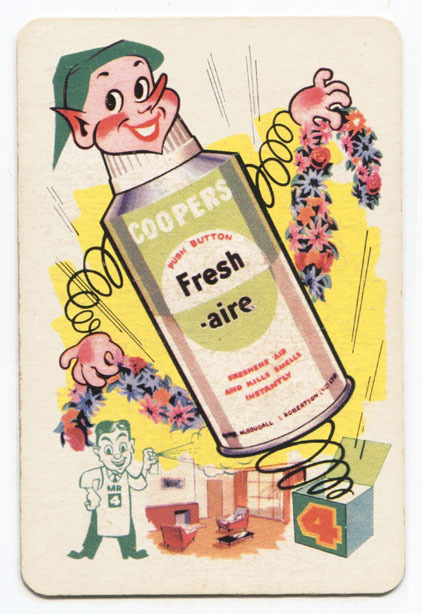 the only 1960s image I have seen of Cooper’s Fresh Aire is a January 1962 ad in which the can design seems to have been revised from what appears on the snap card. 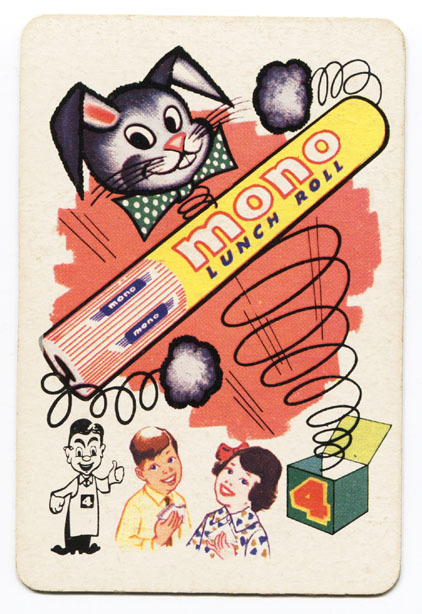 The product was definitely available by 1961 as exemplified by an ad in the New Zealand Film archive. This was still quite early days for television and the fact that they went to the effort to make an ad in this medium indicates it was a new product on the market and they wanted to make a splash. 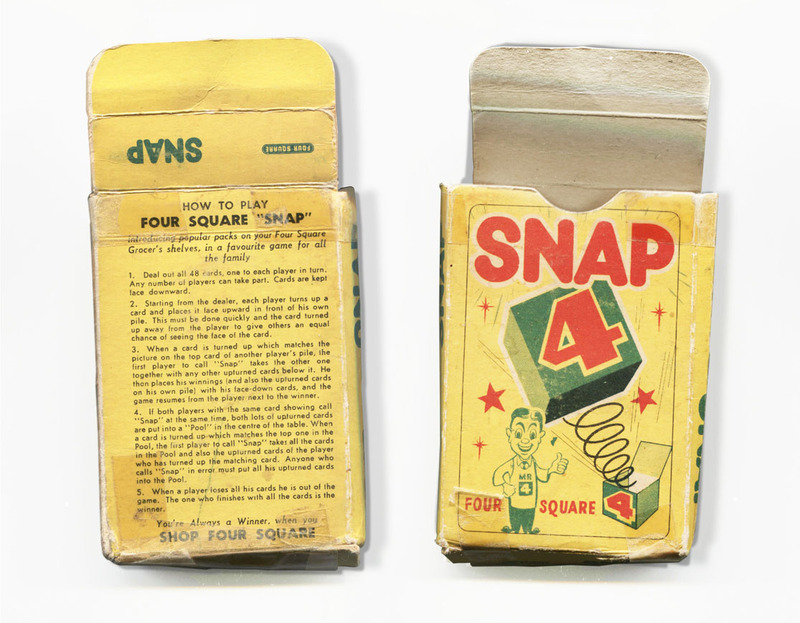 Outside of the early 1960s snap set box, a bit worse for wear. So in summary, I would date the snap set at some time between 1960 and January 1962. That gives us the answer – probably 1961. If you asked me on first glance to pick an era, I would have said 1950s. If you showed me the two together, I would say that the snap set was issued before the other. But it goes to show if you really concentrate and try to figure it out with some information that has been gathered to help – the facts don’t lie! 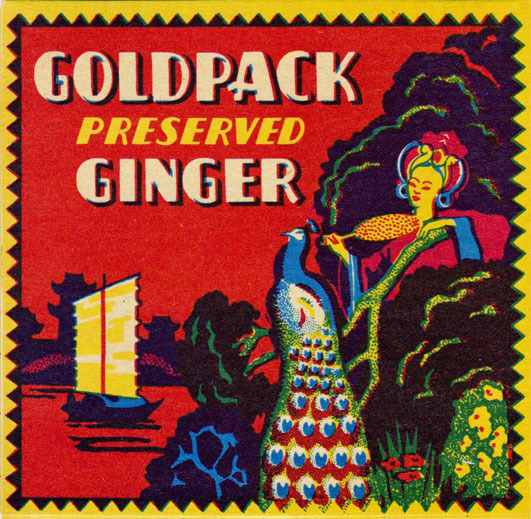 Front of a box for preserved ginger, probably dates from the late 1950s-early 1960s. The design never really changed over the decades. 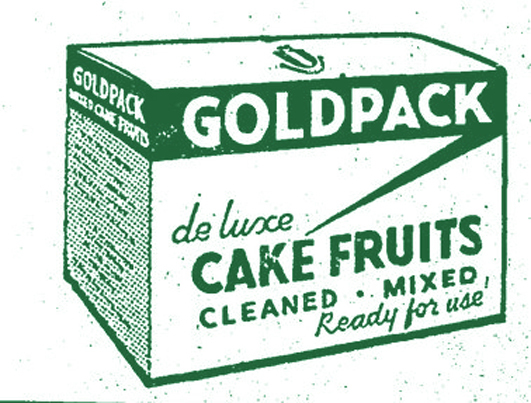 Goldpack is a brand I remember well from the kitchen of my Gen X childhood. 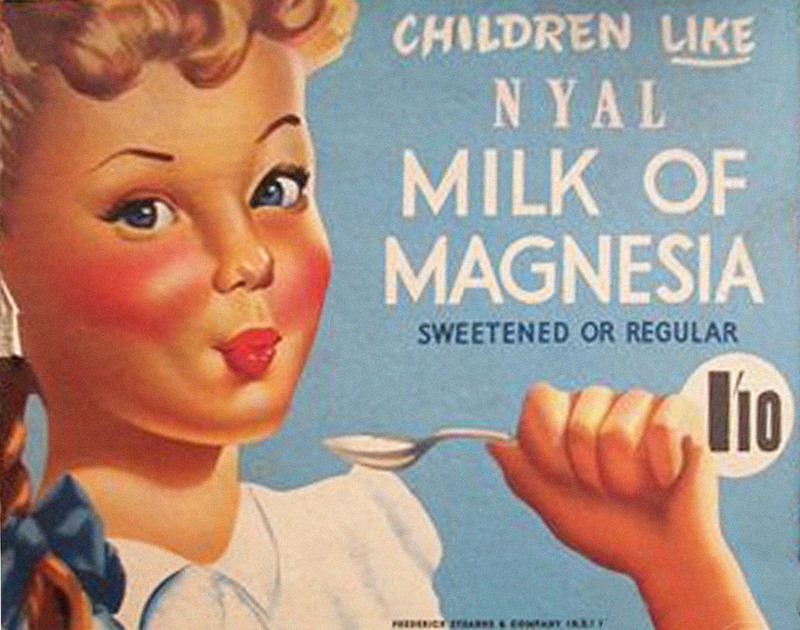 They were a regular in our house, for my mum often used the products for baking cakes, biscuits and sweets – back in the day when mothers actually had time to do that… as well as everything else, unlike now. I loved the packets, with the lush bright cherries and the old-fashioned, exotic design of the ginger box that never seemed to update its slogan on the side – “a delicious sweetmeat, and after dinner aid to digestion”. Of course people had long stopped treating the product as an unusual, interesting dessert on its own, except maybe on Christmas time platters. Front of a box for dried apple slices, probably dates from the mid-late 1950s. 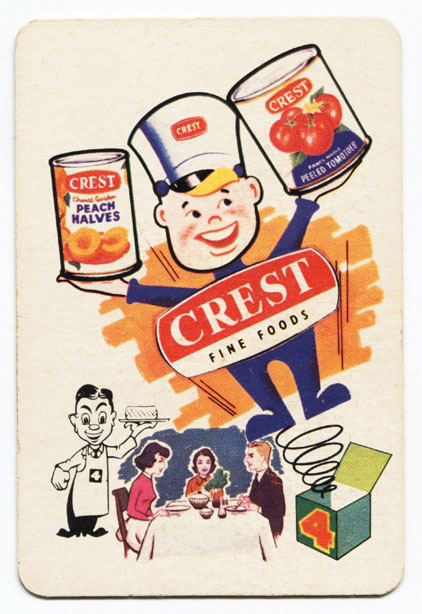 The artwork matches a label for Crest canned pie fruit which was in production about 1959.
the minute I clapped my peepers on them it was an immediate sensory journey back in time. That’s true nostalgia. I found an ad placed in the Auckland Star of 1929 where Goldpack Products of Rutland Street, Auckland central are advertising for “two girls, about 18”, and also a “respectable youth wanted”. proving that they were already established and had at least one product by then. 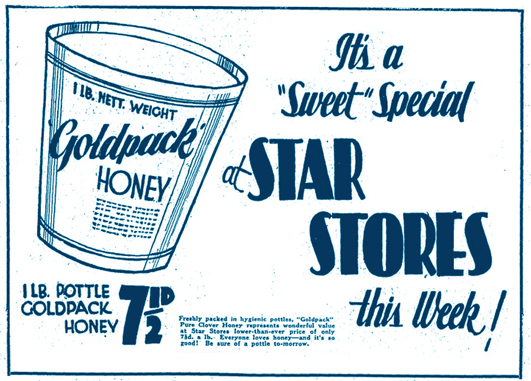 Goldpack tinned pears were on the market in 1930 until at least 1933 in 1 lb and bulk 22 lb tins, by 1932 clover honey was for sale in bulk, and also in 1 lb wax pots – and ginger also in the stores in two different size packets; and it’s only by that year that archive dates indicate that it was formally registered as a business. 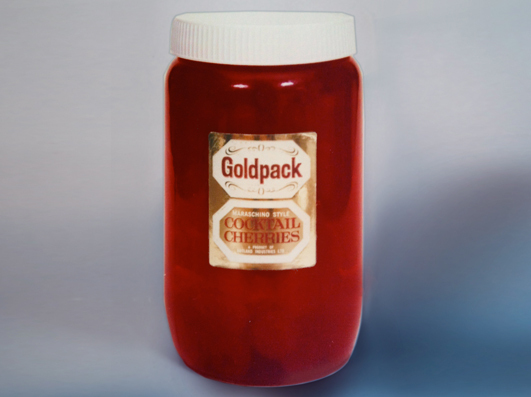 Goldpack as a trademark came much later in 1935, when according to company literature, preserved lemon peel and cherries were rolling off the factory line for the first time in addition to the other products . In 1938 the first mixed fruit product sold by individual box came out. Jack Butland was one of only two agents in New Zealand at the time who exclusively imported Australian dried fruit (the only other contenders I can think of are Sanitarium, Tasti Products which was established in 1932 and still going today, or the popular Celopak range from Wilson Foods Ltd). The sultanas, raisins and currants (and probably everything else in the range) were supplied to businesses in bulk, which, before the days of widespread self service meant your goods were divvied out by the grocer at your order – the usual procedure of that time. Through the 1930s, ads were placed to dispense of “oak barrels, ex factory, 25 gallons, suitable (for) brewing, any quantity”. These were clearly what the preserved ginger was imported in either in syrup and then crystallised in the factory, or arriving as is and sorted into packets. This one was placed in 1938. Clearly tinned fruit and honey dropped by the wayside early on in the game. In 1945 the business was still registered at Rutland street, advertised as “a new, light and airy factory” – but at some point it moved to the corner of Newton Road and St Benedicts Street, in Eden Terrace (perhaps while the new Rutland Street factory was constructed). 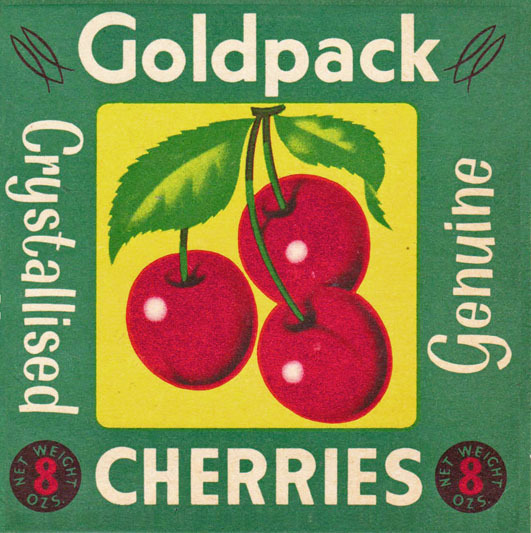 Front of a box for crystallised cherries, probably dates from the late 1950s-early 1960s. I don’t think much in the way of new products was added to this roster until the 1950s when presumably dried apple slices were tacked on ; I have posted the box front here. The only other example I have ever seen is in the General Store collection of the Ferrymead Heritage Park in Christchurch. 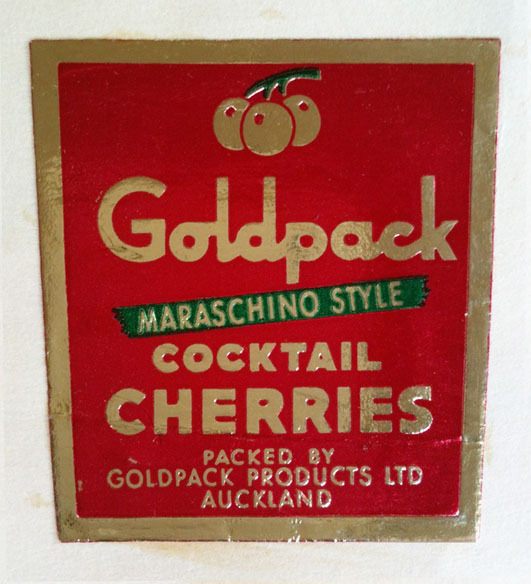 By the 1960s Goldpack was producing preserved ginger, maraschino-style cherries by the jar to cater to the era of the still-existent cocktail hour, cake fruit mixture and crystallised cherries. I have a record of mixed peel being added in the 1970s although no doubt it was introduced much earlier since it was considered a cooking staple. A stock list of the whole range in late 1988 shows glacé cherries, maraschino cherries, mixed peel, crystallised ginger, diced ginger, whole and broken cherries, cocktail cherries, and a product named Red Cherrylike, which I am advised was made from coloured Mangolds, something I’d never heard of so I went exploring and, well – I learned something new, which is, while akin to huge white turnips – there’s nothing uninteresting about them. The Mangerlwurzel, also known as the Fodder Beet (and as the Mango in nineteenth century America) began to be cultivated in the 1600s to feed cattle in the winter. Tough and sweet, but not fibrous, they are ideal to cut into shapes which dyed and flavoured – serve well as a cherry substitute. Mangelwurzel Hurling competitions are an old British tradition ( which continues today in the village of Sherston). They are also traditionally used to brew an alcoholic beverage. Knowing what I do of the British I would say the former was invented after over-imbibing of that latter. 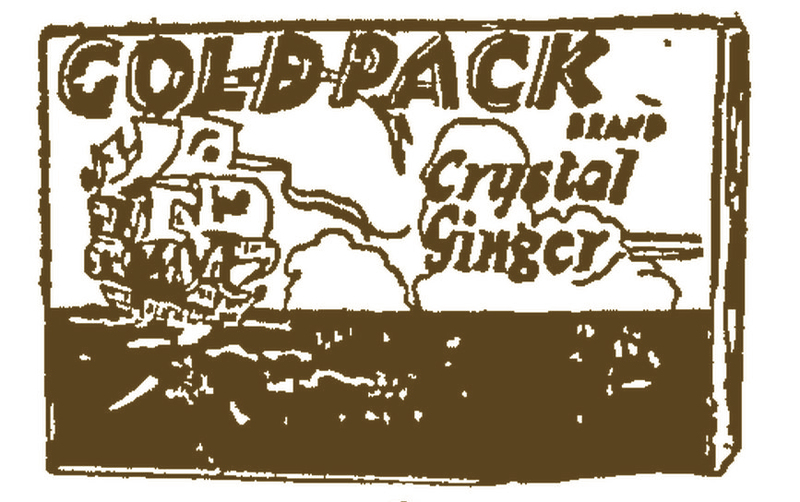 A very rough illustration of the crystallised ginger box, nevertheless it clearly shows the earliest incarnation of this product, from a Farmer’s ad of November 1929. Mangolds (also sold as their own product, Red Cherrylike, in bulk) were used as a substitute in the cheaper brand of cake fruit on the market also by Butland called Sunny Valley which was packaged in a poly bag; and marketed under a subsidiary name to give the impression that Butland didn’t have a complete stranglehold on the premium market. 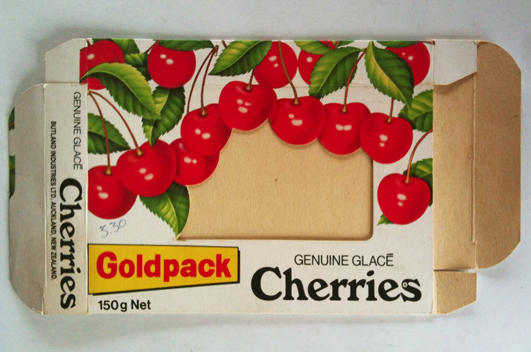 Whereas Goldpack, considered the choice brand, always had real (broken) glacé cherries in the mixture and was presented in a cardboard carton. Most of the Goldpack range from a salesman’s portfolio, late 1980s. The agency duopoly on Australian dried fruits imported into New Zealand finished up in the late 1960’s when three others were introduced. These, now five, agents split up the country’s market into wholesalers for which each could exclusively supply at the same fixed price. Peter Michel says: ”I was a salesman for Butland selling the dried fruit in the mid 1970s to the wholesalers and merchants around the North Island. I think that none of my customers from then exist now. It was a very cosy arrangement that would be impossible to replicate today”. 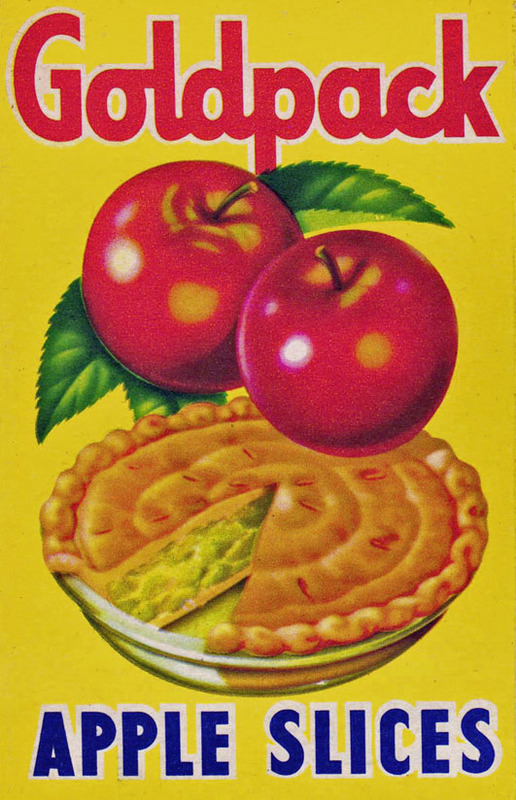 Cocktail cherries by the jar, late 1980s – although – this label looks like it had not been updated for quite some time. 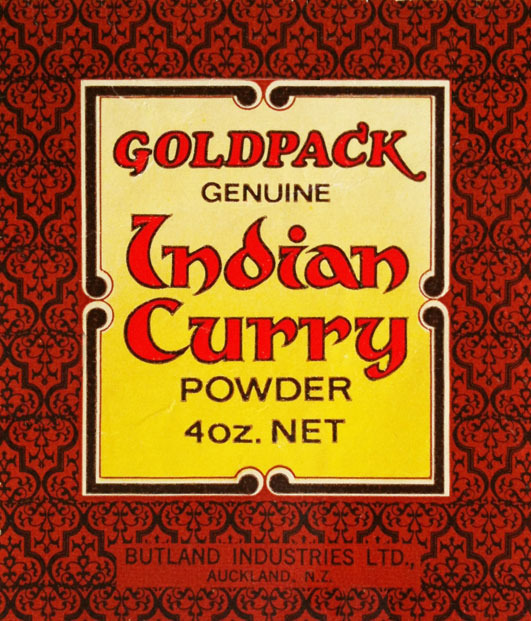 I remember Goldpack Indian curry powder, pictured here from the late 1970s or early 1980s. I don’t know if there were other spices and herbs in the range at that time besides this. This product would likely have been a way for Butland to keep their former Crest curry powder in the marketplace after they had disposed of most their other significant interests to rival companies (canned goods like Crest Fine Foods, Blue Bonnet and Craig’s; and dairy products including Chesdale, Dixibell, and Dairylea to name some of the huge ones, although there were many more small brands with one or two products in the lines such as teas, condiments, personal products, etc). 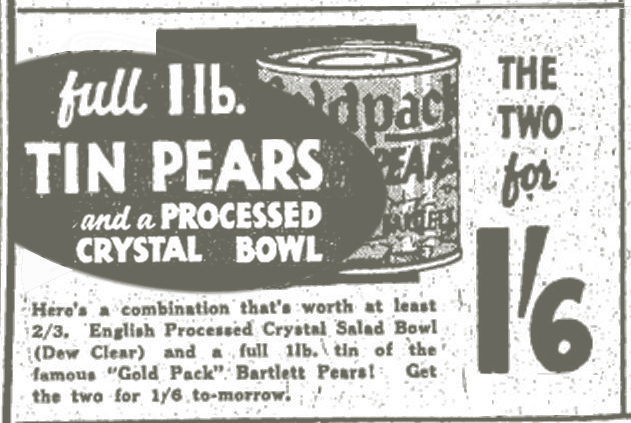 “Gold Pack” (sic) Bartlett Pears for sale at Woolworths in a 1 lb size, Evening Post, June 1933. 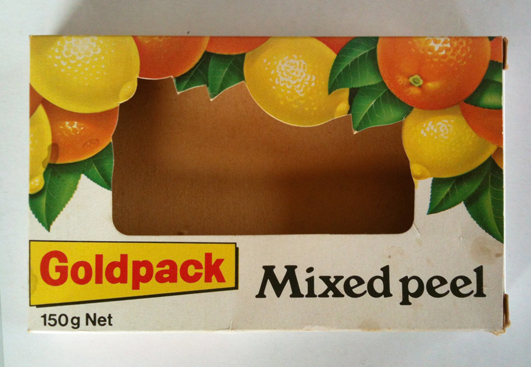 This mixed peel box was in use from the late 1970s-late 1980s. and as such I will save it for another chapter later on, because I reckon there’s at least two decent sized articles on that topic. 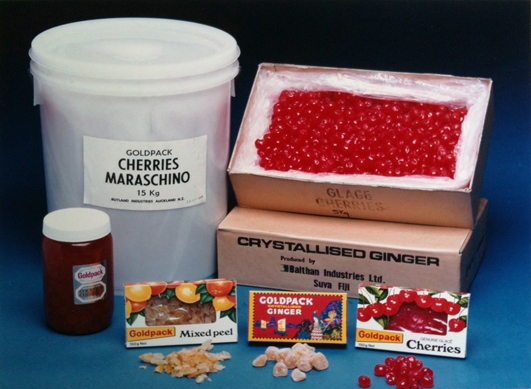 This mixed glace cherries box was in use from the late 1970s-late 1980s. By the 1980s Goldpack had moved to a division of Butland’s factory premises in Penrose. Kraft bought the business, including Goldpack, outright from Butland in 1989; they had owned 49% of the company for the eight years previous. When the factory moved from 644 Great South Rd in Penrose to 16 Dalgety Drive in Wiri, Manukau around 1991-1992, the brand was discontinued for good. Label from maraschino cherries jar, dates from the mid 1950s. 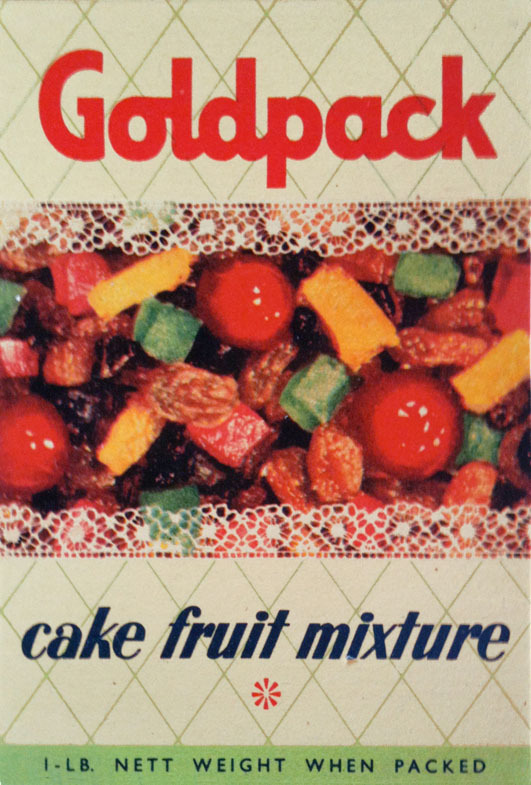 “Goldpack Supreme Pudding” and “Goldpack Christmas Cake” are recipes still used today that are based on the brand’s mixed fruit in particular; although of course the ingredient is now substituted. I wouldn’t call them Kiwi classics (yet) but it’s an instance of how a much-loved brand enters the common vernacular and lodges long after the product is but a pleasant memory of hours spent in warm kitchens making sweet treats for special events – or just for pleasure. 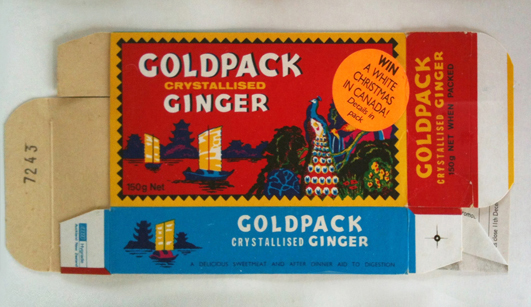 This ginger box features a competition in the late 1970s-early 1980s. 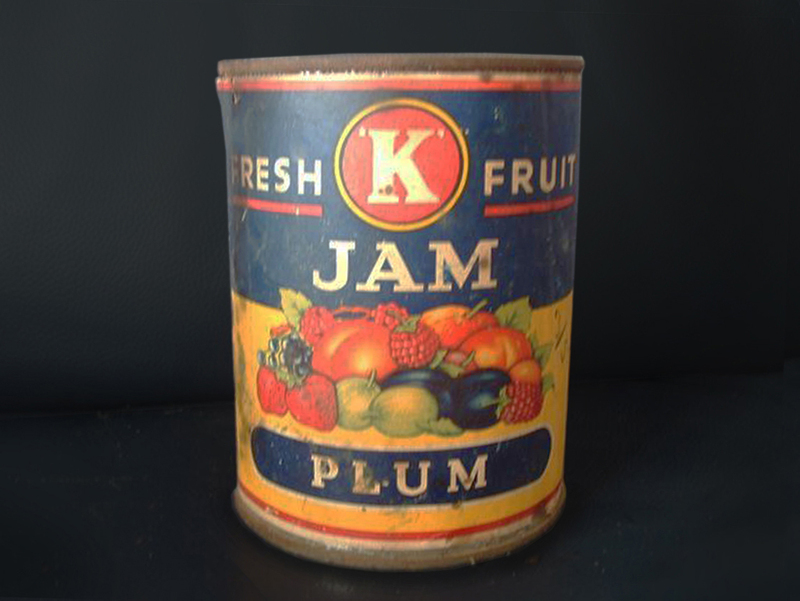 It has taken me months on and off to find the material and finish off this recreation of a “K” jam label from a photo. Creating the fruit illustration was complicated and difficult. I believe it dates from the late 1920s- early 1930s. “K” brand was one of the longest lasting, and most popular product lines to come out of New Zealand. You probably haven’t heard of it, and it is true that it has been long forgotten since it shut up shop at the beginning of the 1970s – but it lasted ninety years in the cupboards and on the tables of Kiwi households. A later version of the label above, probably late 1940s-early 1950s era. Photo courtesy of Trade Me member Shakaya. 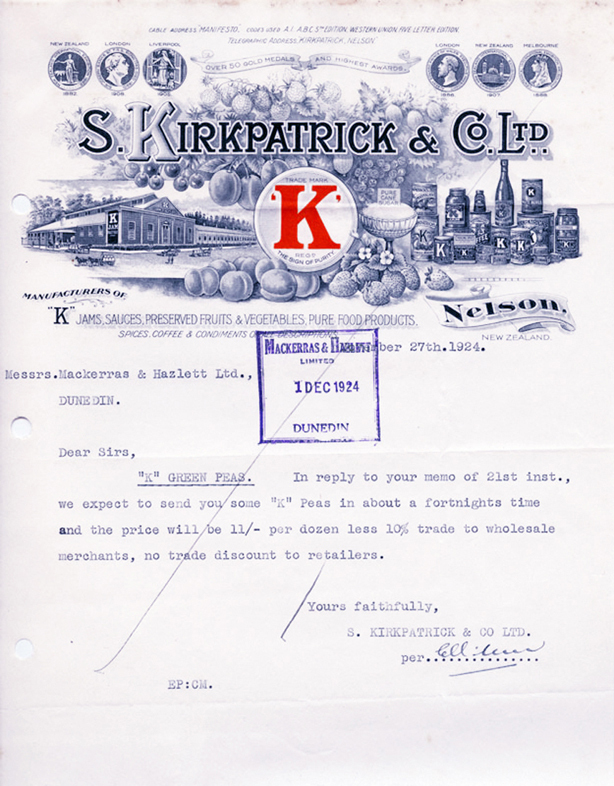 S. Kirkpatrick & Company was established in Nelson, “the fruit, hops and flower garden of New Zealand”, in 1881 where it came to be the most important business in the district – as its major employer. The firm’s biggest enterprise was jam, and following that canned fruit, vegetables and meat, and such was its impact – that it had a marked effect on the geographical nature of agriculture in the region, as well as other industries such as fishing. The business was quickly producing 1,000 units a day using up all those tons of pesky wasted fruit that local producers just couldn’t offload. It wasn’t long before the ‘K’ Brand of jam in its colourful label was recognised throughout Australasia. 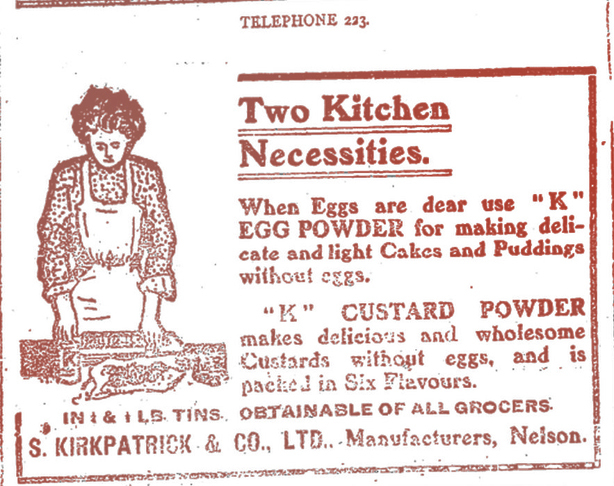 Custard Powder and Egg Powder, Nelson Evening Mail, June 1905. Samuel Kirkpatrick was born in County Down, Ireland, between 1853 and 1854, where he went to school in Newry. After graduating from Walton College, Liverpool he spent five years with a wholesale food merchant learning the ropes. Kirkpatrick then emigrated to the U.S. for some years – working for tea wholesalers in both Philadelphia and Pittsburgh. In 1876 his entree to future success came with his removal to California where he worked in two large fruit canneries in San Francisco (in what capacity this work was exactly, I am unsure). Sources seem to differ on the date – but it seems Kirkpatrick probably arrived in New Zealand in 1878 and worked as a travelling salesperson for merchants and commission agents Renshaw, Denniston and Co, in Dunedin, through 1879. They sold farming equipment such as reapers and binders , as well as more workaday items from cornsacks to paint and wire. They were also agents for various loans, marine and fire insurance (the partnership dissolved by March 1880). However Kirkpatrick, with his experience in agency, sales, foodstuffs and the canning industry together had his sights set higher. He could see the raw potential of the Nelson area with it’s ideal fruit-growing temperament – and it wasn’t long before he contacted a group he had heard had a similar idea and were investigating the establishment of a fruit processing plant in the area. 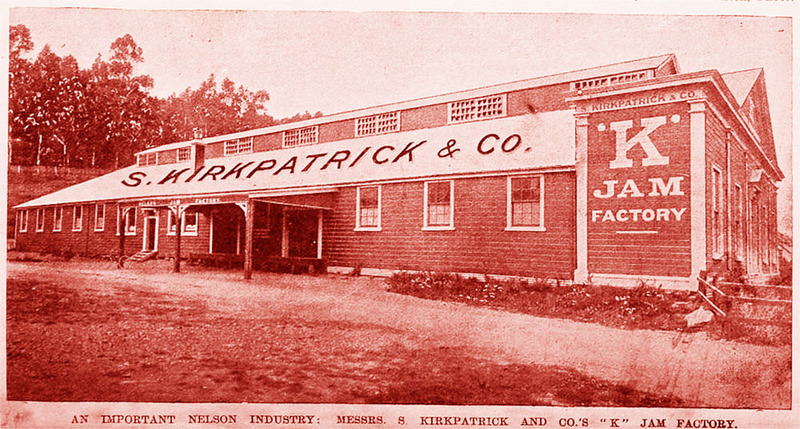 Kirkpatrick became not only a significant shareholder, but struck a deal to manage what was to be known as the Nelson Jam and Fruit Processing Company. He leased a former textile mill in Bridge Street as premises, from the Webley Brothers who had a company named ” Webley’s Nelson Cloth“. They had gone out of business due to competition amongst manufacturers and Kirkpatrick emptied the buildings offloading all the equipment to Kaiapoi Woollen Mills. Supposedly this occurred in 1876, but I’m guessing the date quoted is wrong, since firstly Kirkpatrick was documented working in the U.S. at the time, and also RD & Co were advertising sub-agent positions in 1878 – so that data seems to back up that he started working for them then – and not earlier. He returned to Britain the following year to arrange the shipment of an entire canning plant to set up in the new factory . He brought back with him his aunt , and his mother who was now widowed. From the 1880s a large variety of jams, conserves, jellies and marmalades were produced in 1 pound and 2 pound stone jars. They also produced the preserves in glass jars, perhaps a bit later on. In the 1890s preserves were also available in 1lb, 2lb, and 7lb tins and they added that Kiwi classic lemon cheese to the roster. They were also marketing coffee under their own company moniker – although generally they were using the “K” label for almost everything at this point. Production had doubled by 1896, and the current factory buildings now being insufficient to cope with demand, Kirkpatrick purchased land at the corner of Gloucester and Vanguard streets for a new factory – in which he installed the most modern and efficient machinery and fittings of the time. His marriage of this same year lasted a very short time when his wife died from Tuberculosis by 1899. However at this point he was buried in work – with significant expansion of the buildings constructed to accommodate rapid growth, the company now had “the largest wooden building in the colony” and its own can making and printing plants – each can that came out of the factory was made and labelled by hand. Eventually the premises covered about 30,000 square feet. 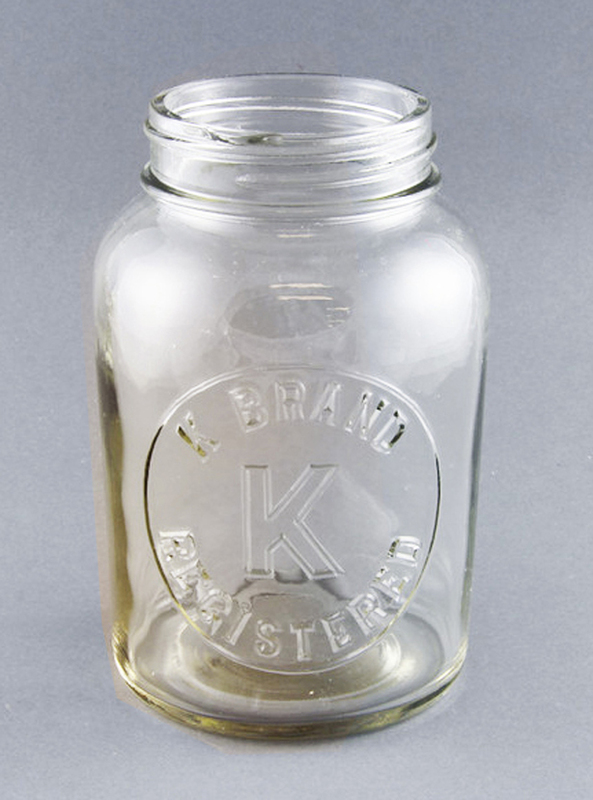 “K ” Brand jam jar, date unknown – I am guessing 1920s. Photo courtesy of the Mataura & Districts Historical Society Incorporated collection. The company now branched out into coffee under the ” K” brand as well as spices – having bought the business of Anderson & Son, Wellington. 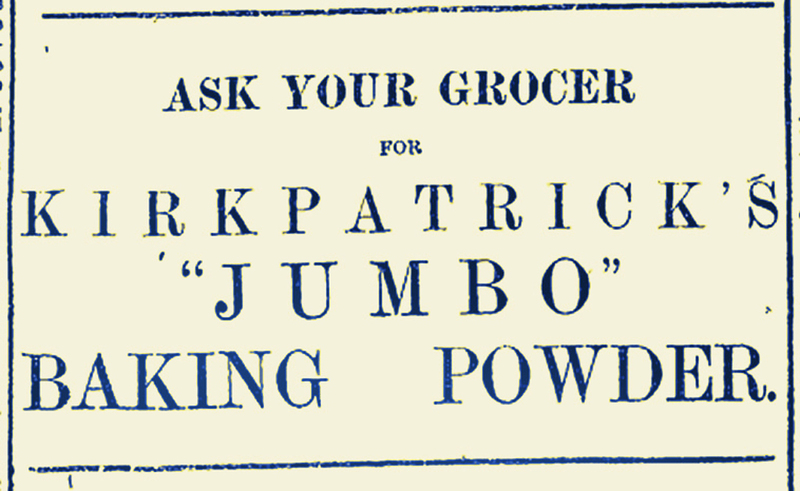 “Jumbo” was a Kirkpatrick baking powder label of the 1900s that was acquired as part of the package with the Anderson transaction – who had previously sold the patent, trademark, and all the machinery to a coffee and spice merchant David Owers of Timaru in 1893. Somehow it made its way back to the original owners who sweetened the deal by including it, however even though heavily advertised by the end of the decade it seems to have been dropped from the list of products. The business continued to grow rapidly and by 1901 the factory was employing 60 individuals full-time just in the off-season – and double during the busy period. Kirkpatrick had a concern not only with hygiene, but with good working conditions for his employees – which earned him great respect. “It is an interesting sight to see thirty or forty girls, neatly dressed, and in harmony with the general cleanliness of the whole establishment, picking and sorting the fruit with a quickness, which to the uninitiated must seem incredible. A happy feeling evidently exists between the girls and their employer, to judge by the contented faces the visitor sees around him”. Kirkpatrick was described as a neat and “dapper man with a retiring disposition”. However for all his concern of his workers and their comfort – as well as his receding temperament it seems he was near in matters of quite insignificant things, and had no hesitation to voice his concerns; There is a letter in existence from Kirkpatrick written in 1917 when he was no doubt already rich. He writes to a handkerchief company complaining that there were only eleven handkerchiefs in the pack of twelve that he purchased and could they please reimburse him or replace the missing one. 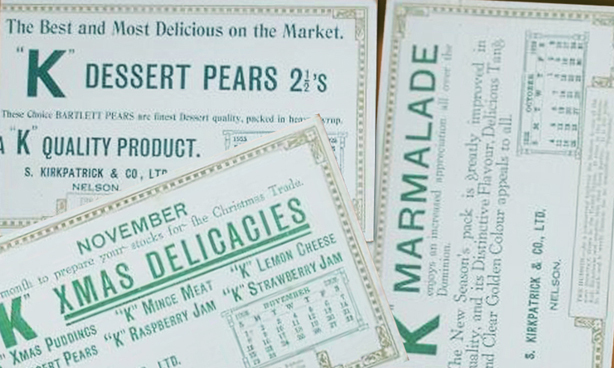 Now with a large range of preserves, canned fruits, vegetables and meats (including pig’s feet in jelly, lobster, brawn, Irish Stew, ox and sheep tongue, Scotch haggis, boiled fowl, and curried rabbit to name a few) – In the decade of the 1900s the product range expanded in a massive way as follows: fruit mincemeat, honey, raspberry and table vinegar, pie fruits, poultry tonic, salad cream, tomato sauce, “K” Sauce, mushroom ketchup, pickles, condiments, curry powder, custard powder (six flavours), baking powder and egg powder, bird seed, Wheatena (presumably a product similar to Maizena and Creamota, to be used for both cooking and breakfast cereal) plum puddings, potted meats, ground rice, pea flour , pea meal and wheatmeal, linseed, arrowroot, spiced sausage flour, icing and castor sugar, desiccated coconut, cream of tartar, bicarbonate soda, citric and tartaric acid, carbonated ammonia, starch glaze, pickling spice, beef tea, dried herbs, hops, pickles, and boracic acid. “New lines are constantly being added”, noted an article of 1906, – such as gravy browning and tomato chutney in the 1910s. 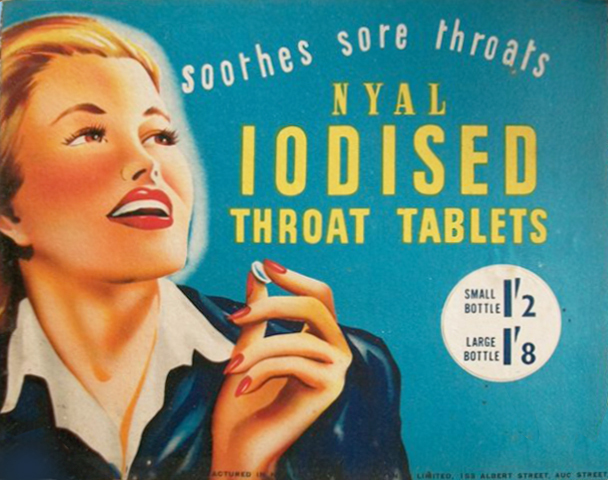 Kirkpatrick & Co. also acted as agents for a variety of international products such as Nestlé, Peters, and Kohler’s chocolates, Henderson’s sweets by James Stedman of Sydney (later better known as Sweetacres) as well as Faulding’s products like eucalyptus extract., cloudy ammonia, and olive oil. 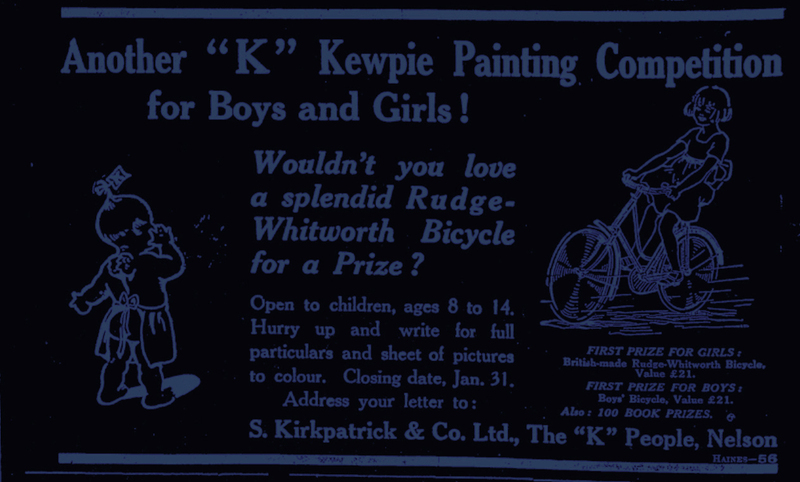 Another children’s competition campaign of 1922, again by Kirkpatrick’s preferred advertising agency – Haines. In 1904 Kirkpatrick acquired The Nelson Fish Company – a producer of smoked, chilled and frozen fish which was packed in pumice and sent far and wide. In prime position on the edge of the Nelson harbour, the large, hygienic white premises also did a roaring trade in ice. Now in its heydays, the Kirkpatrick enterprise was during this period apparently the biggest canning and jam factory in Australia and New Zealand combined. 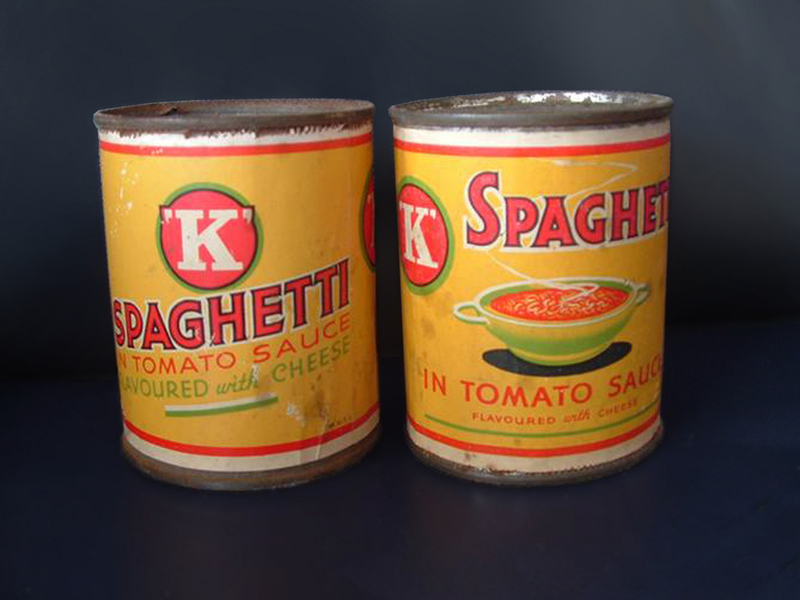 “K” spag with cheese had been around since at least the 1930s, but these probably date from the early 1950s era. Photo courtesy of Trade Me member Shakaya. Kirkpatrick in his spare time was quite the sports enthusiast with a particular fondness for the game of hockey, and eventually became president of the Nelson Association. In 1924 he founded and first presented the silver ‘K’ Cup as the trophy for women’s hockey. He was a Freemason and held the rank of deputy grand master of the District Grand Lodge of Westland and Nelson. Like many foodstuffs industry bigwigs such as Barker (Four Square) and Dustin (Buttermaid), who found that wider power came with industrial clout – he also stepped into the public eye via favoured community organisations, and inevitably into the more political arena serving a term as a city councillor from 1898. 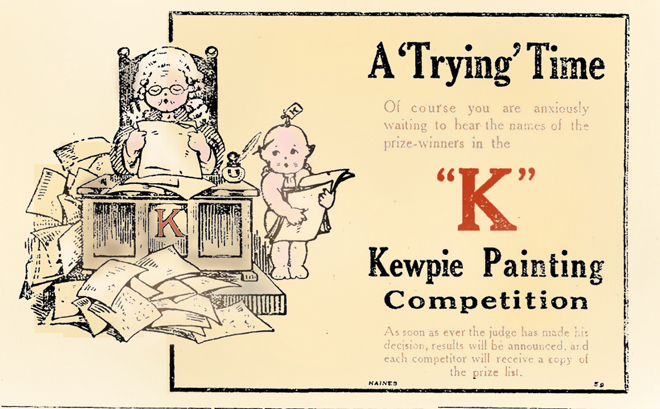 “K” advertising blotters issued in 1925. Original photo used for composite is courtesy of Graham Bulman. The “K” Factory in October 1964, just after news of the Wattie’s takeover. From the Nelson Photo News. Photo courtesy of the Friends of the Nelson Library Inc. In the 1920s ads for tomato soup, Xmas puddings and a product named “Musto” (a spice base mix for making piccalilli and chow chow, later made by Trent’s, The NZ Coffee and Spice Co Ltd, under their Good Cook line) appear in newspapers as well as on other advertising like blotters. The 1930s saw canned spaghetti in tomato sauce, or with added cheese; baked beans, vegetable soup, and that good old depression staple pork & beans. Things took a more exotic turn with loganberries, dessert raspberries, and diced fruit salad on offer. By this time fruit and vegetable products on sale under the “K” label were in the dozens. 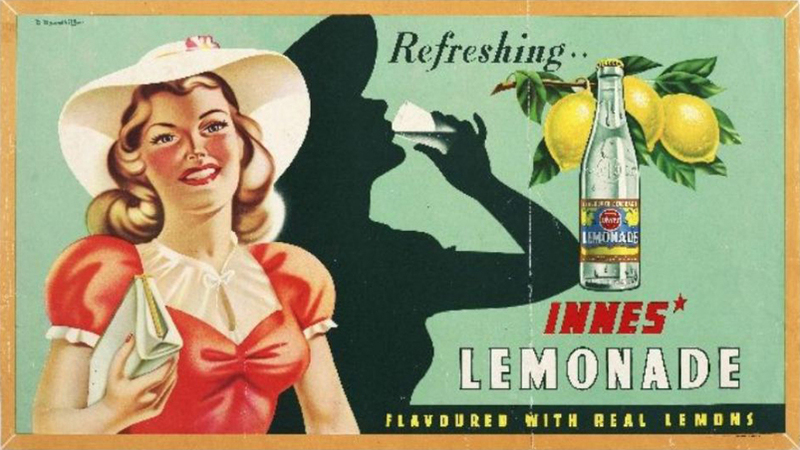 “Imperial” was a subsidiary brand trademarked in 1909 and lasted well into the 1930s. Although it was registered to cover just about every category of product under “K”, it seems it may only have ever been produced as canned jam. Still – it was around for a good quarter century so can be deemed successful. 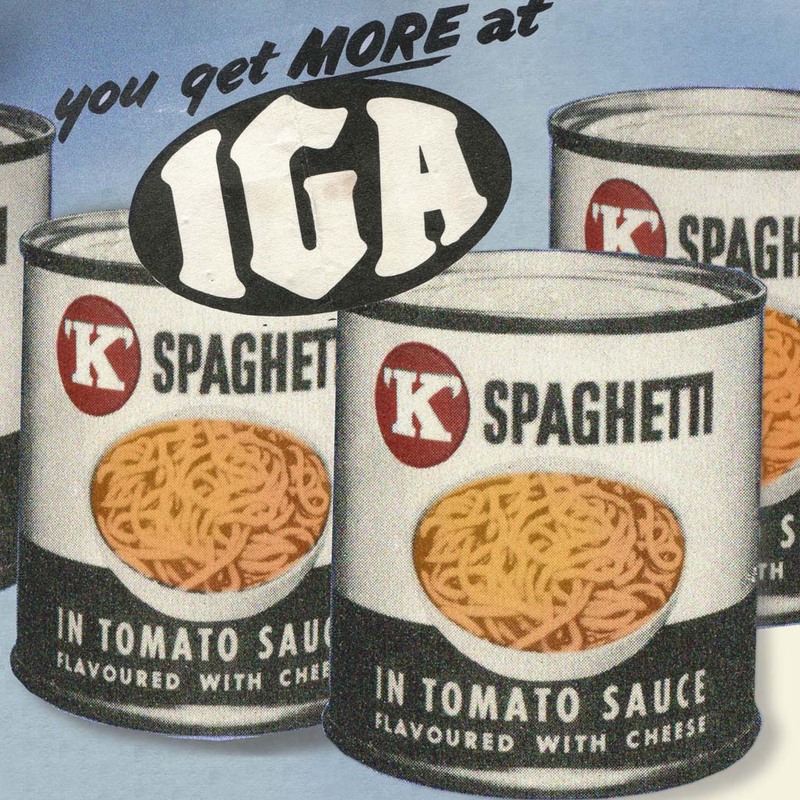 IGA stores advertising, circa late 1950s-early 1960s. 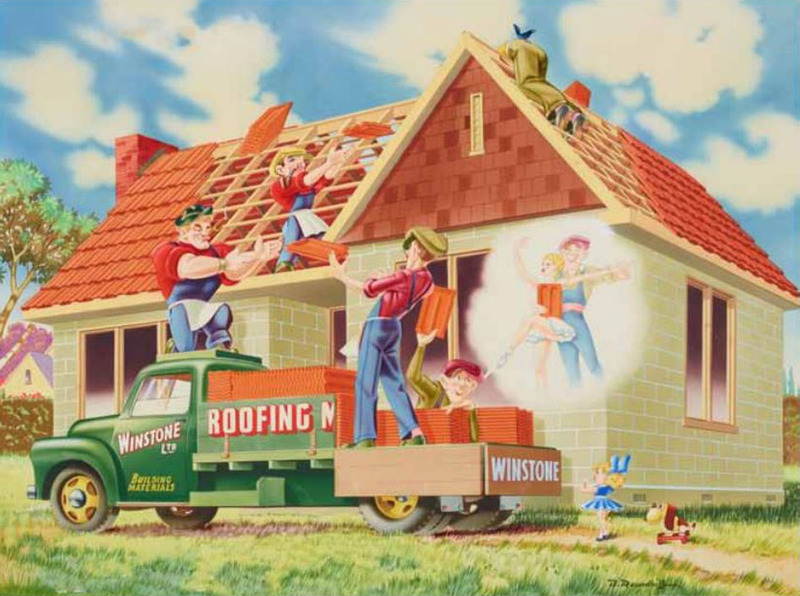 According to IPONZ, It seems as if the Crest brand (almost unknown now, but during the 1950s it was in fact far bigger than Wattie’s) also came under the auspices of Kirkpatrick & Co while it was under ownership of the Henry Jones company. After being passed from behemoth Butland Industries to Unilever, it was a very short time before it was sold on again – seemingly a year or so. For just a few months in 1960 the company had some sort of joint arrangement with Wattie’s over the brand – which was over by November of that year when all the categories were re-registered solely to Heinz Watties. An event at the Kirkpatrick family home, Nelson. Provenance and year of photo unknown, but looks to be late 1920s-early 1930s judging by the costume styles. In 1964, Wattie’s took over S. Kirkpatrick & Co., Ltd., as well as Thompson & Hills Ltd – now both subsidiaries of The Henry Jones Co-op Ltd in the same factory. So at this point the round-up included OAK, Playtime, and “K” brands. By 1971 they had dismantled the brand and shut down the Nelson factory which was producing all of these labels as well as, of course, a number of Wattie’s products and Watties-owned brands by this point in time. Known as Kirkpatrick House for well over 70 years, the home served as a charitable girl’s boarding house and then a backpackers. Photographed in 2009, it still stands in Mount Street as part of a new estate. 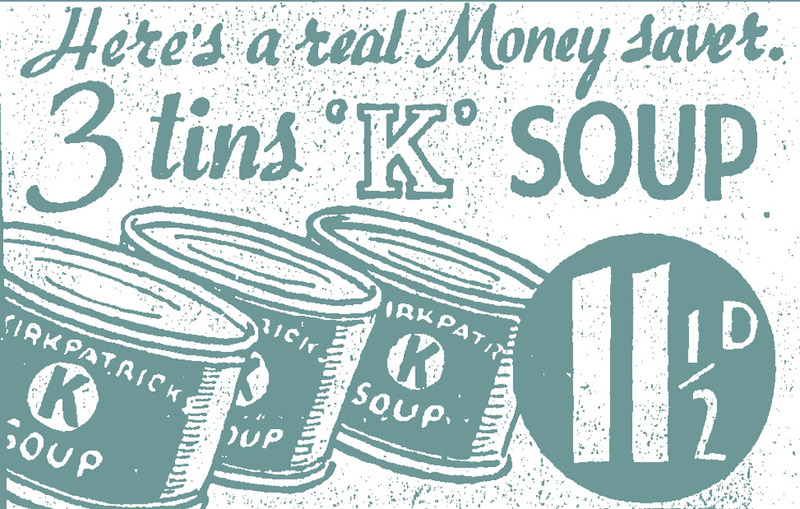 By the end of the 1960s “K” jam and soup had lasted the whole distance, with the last record of product I have seen, being of marmalade in the final year of business. 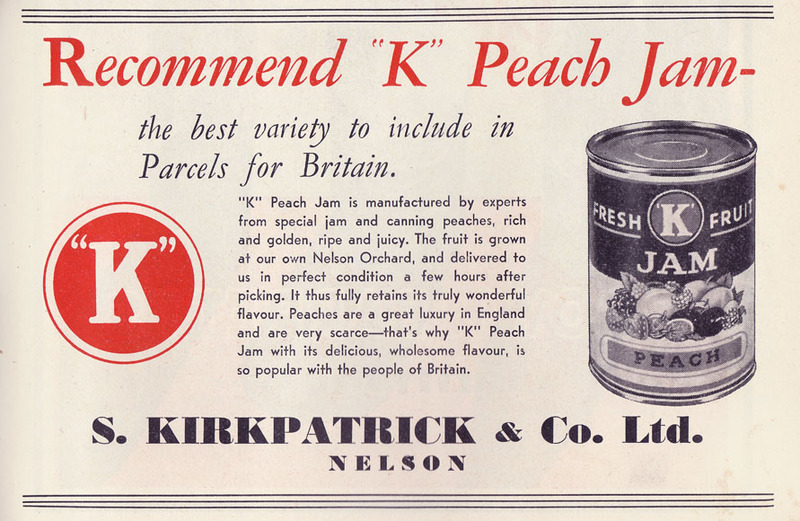 But sadly that was the end for the Kirkpatrick name as far as foodstuffs (as well as Thompson & Hills’ Playtime Jam – which had been around since at least the 1920s). The factory site was eventually demolished to construct a New World supermarket – in a somewhat ironic turn a Foodstuffs NZ Ltd – initiated chain built on the very spot where founding father of Four Square, J. Heaton Barker had worked for Samuel Kirkpatrick up until 1901 (I covered this in my previous article). The family residence in Mount Street was called Kirkpatrick House ( later Centennial Kirkpatrick House ), and still presides high on the steep hill looking down to the factory site; it can be easily seen from the supermarket parking lot. It had been left by Kirkpatrick in his will along with a substantial monetary bequest to provide a roof for daughters of deceased Freemasons who needed somewhere to stay when they came from rural areas and surrounds, to finish their education at Nelson College for Girls (eventually anyone sponsored by a Masonic organisation was eligible). Perhaps they also worked in the factory, especially during peak season – it’s highly likely as the “K’ factory was always short-staffed. Hundreds boarded there over a seventy year period until the late 1990s when it became a hostel – the Club Nelson Backpackers. The house was sold off as one of several lots of land in late 2011, part of what is now an “eco” housing estate project . 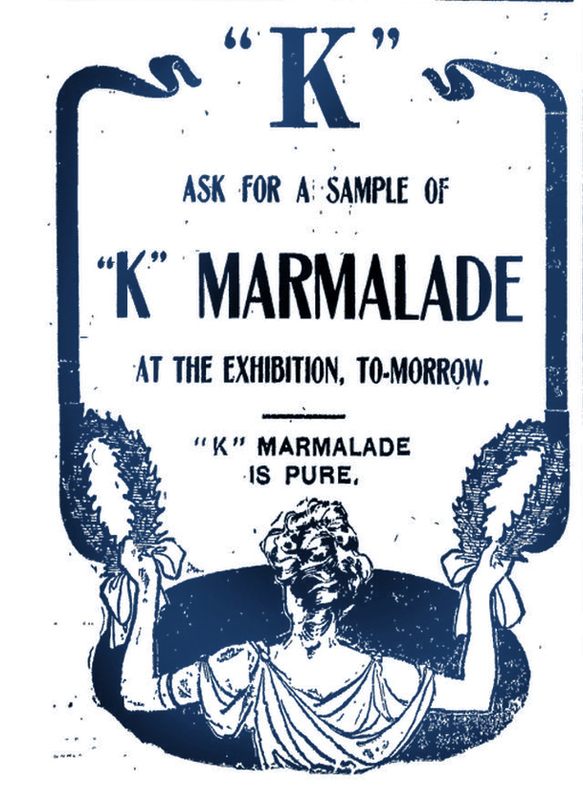 Marmalade advert, Evening Post, July 1911. Nearly ninety years later, his estate still sponsors girls to board at the college’s in-house accommodation. Samuel Kirkpatrick played a major role in the Nelson district’s development, through his fostering of agriculture, horticulture , significant employment of labour – but also charitable acts which have become a lasting legacy. 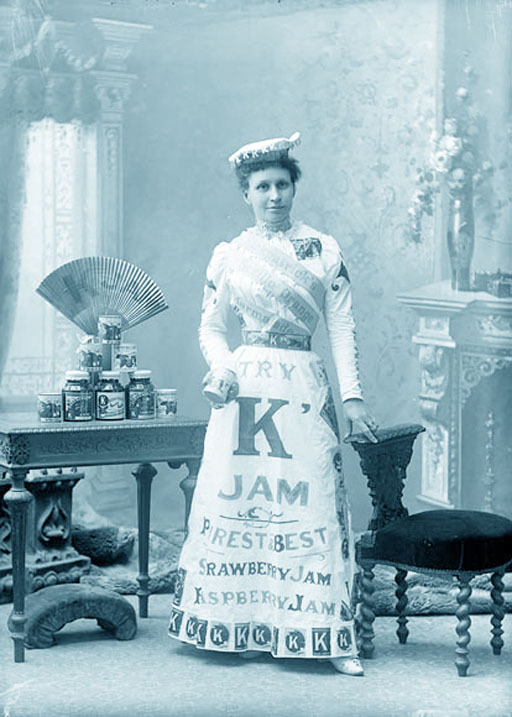 A Miss Bush in a rather unfortunate outfit advertising Kirkpatrick & Co’s strawberry and raspberry jams, as well as orange marmalade, around 1898. Image courtesy of the Nelson Provincial Museum, Tyree Studio Collection, Reference: 62826. Postscript June 2014: When I wrote and posted this article, I am not sure how aware I was that William and Frederick Tyree, the photographers, were my great-aunt’s uncles. Never expecting to have even a tentative connection to anything I research, I was nevertheless quite pleased to discover this family connection. Addendum Sept 2012: This label just in from a British dealer. I have never seen this before and I am guessing it dates somewhere around 1900s-1910s. Why would a previously unseen-for-sale-in-the-Anipodes label end up in the U.K., one might ask? This may be the answer, in an ad from a Grocer’s Review magazine of 1948 which shows the can in one of the photos at the top of the post. By accounts, “K” had quite a market not only in Australia, but made it as far as Britain as well. Image courtesy of Mike Davidson, who scrounged it up from his magazine collection especially for me. 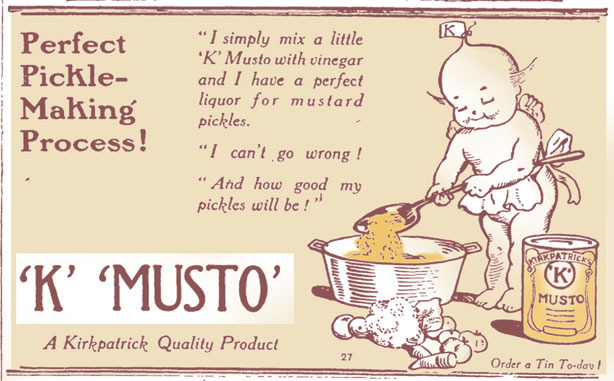 Addendum early Jan 2013: I found this ad for the Musto product by S. Kirkpatrick & Co, April 1921. This was part of a series from a campaign by the Charles Haines agency for the “K” brand. 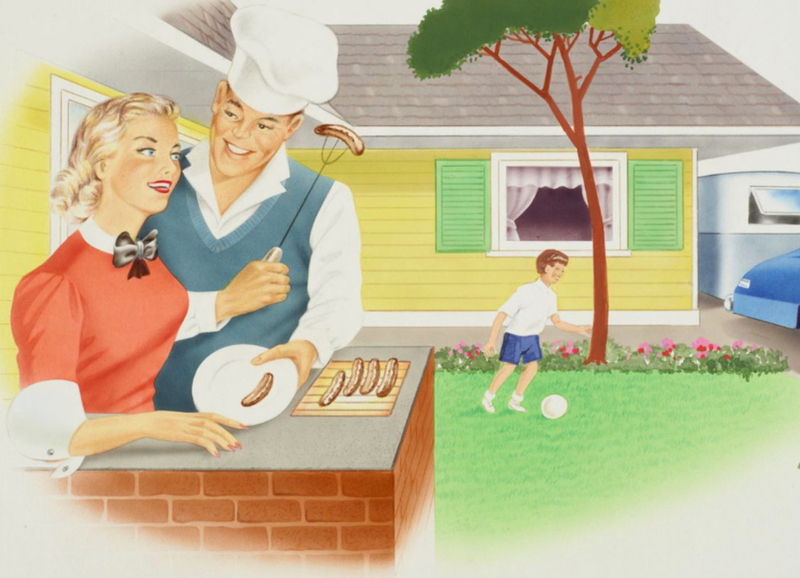 I’m excited to present this recreation of a Chesdale cheese ad. This is probably the most complex thing I have attempted so far and have put it off for a few months because I knew it was going to be hard. As I am getting more daring at my recreation work I felt I was ready to tackle this one from a blurry, bad quality picture. This took about two days of frustrating work to make; starting with designing the three individual paper labels for the cheese segments, then the foil wedge, then the six wedges in the box, and the cartoons of the family which I could hardly see properly. As well as all the fonts which had to be hand-kerned and often recreated from scratch. 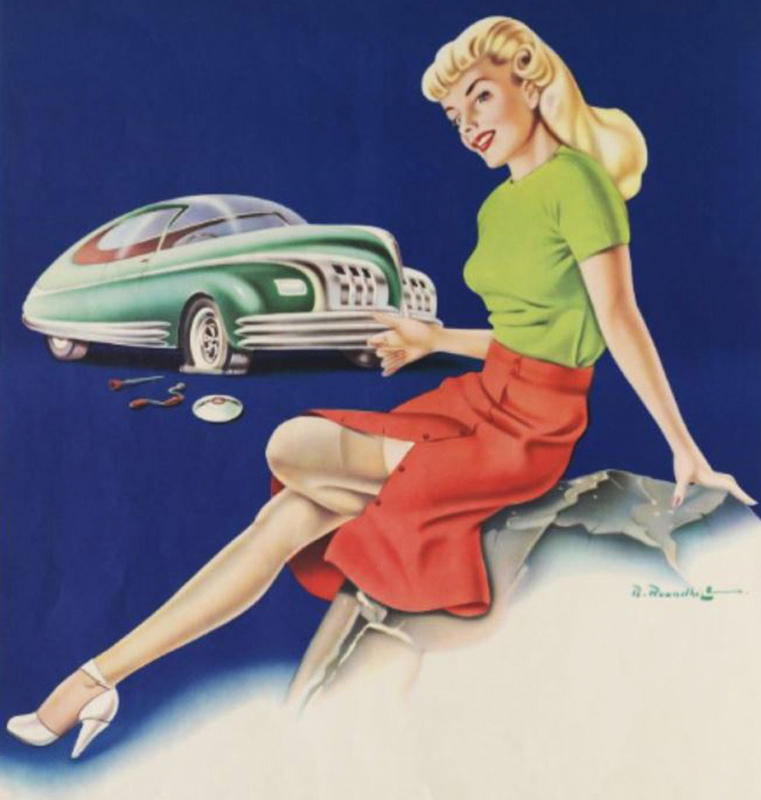 This item probably dates from around 1958, and was in a promotional booklet for a company named Butland Industries which had a lot of other nice colourful ads in it showcasing their products of the moment. 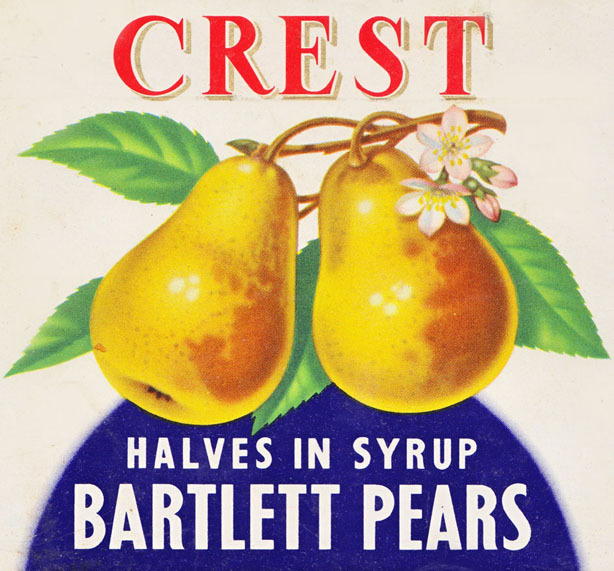 At the time their other hugely successful brand besides Chesdale was Crest Fine Foods (canned fruit, and vegetables, including baked beans and spaghetti – I think this brand fizzled out in the early 1970s). Later on they had Goldpack dried fruits – as well as jam brands Blue Bonnet and Craig’s which I remember well from childhood. It was for auction a few months ago and I really wanted to grab it – unfortunately I had just missed the end of the auction. I would have paid more money by far than it sold for, too. 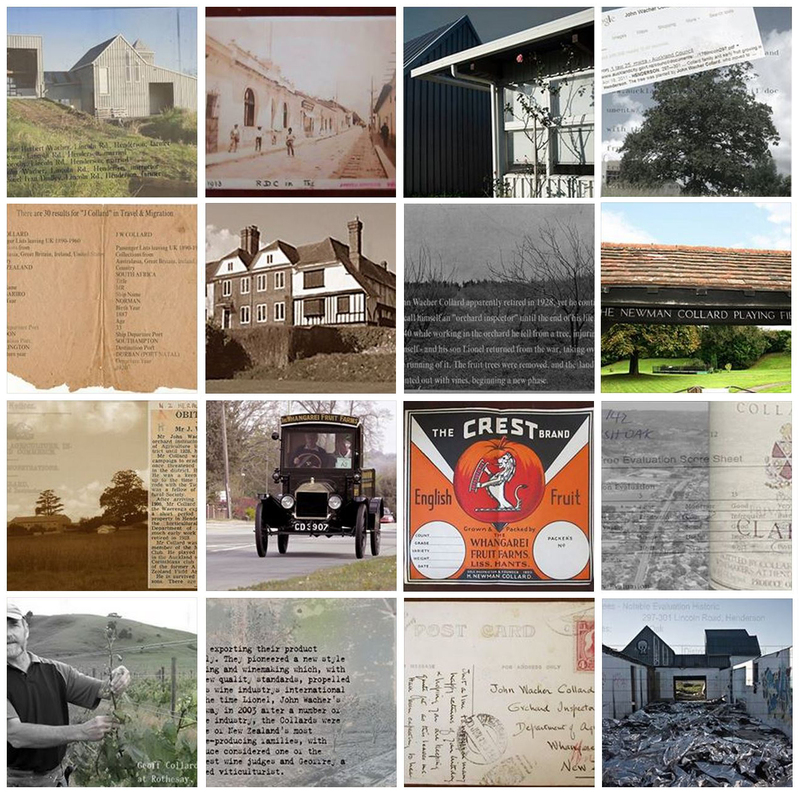 I was so desperate to get hold of the imagery that I approached the seller and also the buyer to try and get better photos of the advertising pages – to no avail. Unfortunately that tack didn’t work out so well to say the least, so the next best thing was to just to buckle down and make it myself. 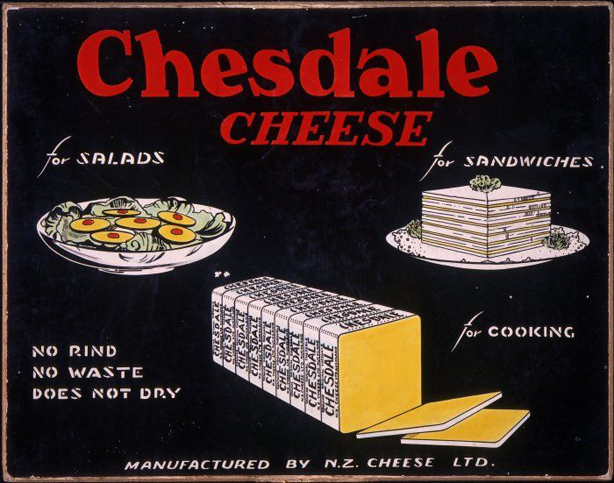 Chesdale Cheese ad, between 1926 and 1949. Ref: Eph-A-FOOD-1940s-01. Alexander Turnbull Library, Wellington, New Zealand. 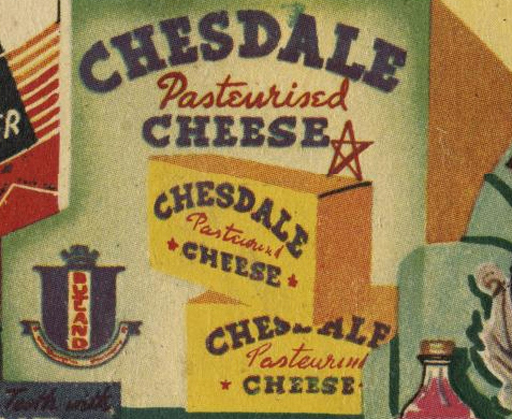 Unfortunately there doesn’t seem to be a lot of information available either about the history of the Chesdale cheese brand or about Sir Jack Butland and his company. What we do know is he was born in Hokitika in 1896 but spent most of his life based in Auckland, where he started in foodstuffs as an agent – after earlier careers in banking and sales. He came to be considered a pioneer in food manufacturing. He founded J. R. Butland Pty Ltd in 1922, NZ Cheese four years later in 1926, and Butland Industries proper in 1949. I know that Crest was launched in 1956 – and that the packaging had changed by 1961 – so this booklet dates from some time in between. I conject on the earlier side. In the days before widespread refrigeration, traditional cheeses sweated, went oily, cracked, and quickly went stale. Jack Butland combated this problem by experimenting with additives, and found that adding amounts of sodium or potassium phosphate would make the cheese smooth textured and spreadable – and it would actually keep well, remaining moist and hygienic. 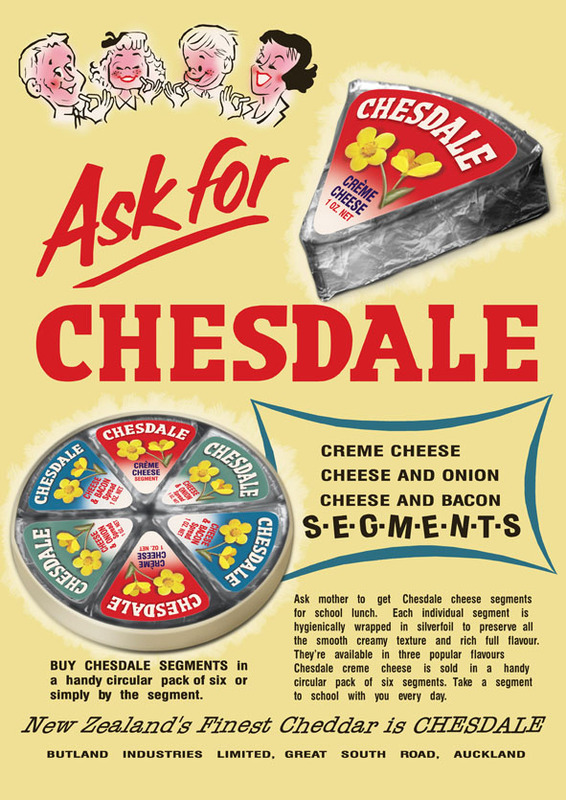 Chesdale Cheese, between 1949 and 1951. 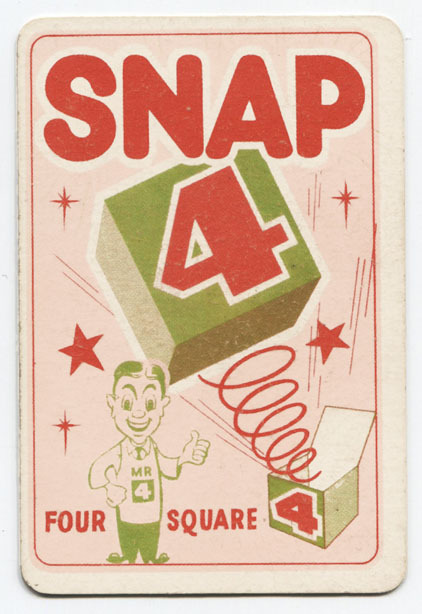 From cover of Four Square Stores promotional jigsaw puzzle envelope. Ref: Eph-F-GAMES-1950s-05-cover. Alexander Turnbull Library, Wellington, New Zealand. He was obviously already successful, but his was his big breakthrough. He sold it wrapped in aluminium foil, in an 8 ounce cardboard carton and later in disc shaped boxes as per the ad. He was eventually knighted mainly for his significant philanthropic contributions some time before he passed away in 1982. Chesdale was sold to Kraft in 1981 and then sold to Heinz Wattie in 1995. It currently is owned by New Zealand Milk Brands Limited. Chesdale is still in production today, however it also has an enormous market in the Middle East. 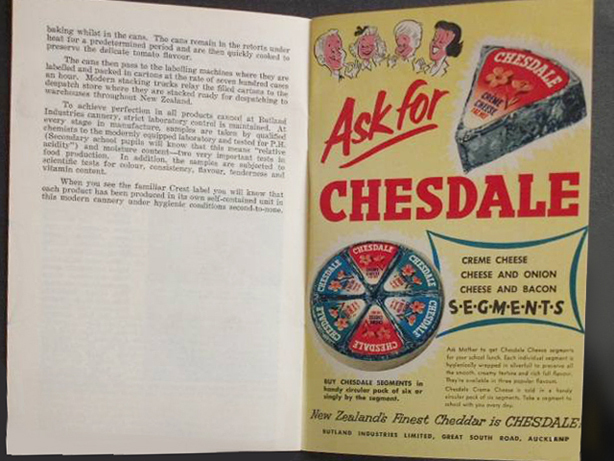 Chesdale is of course now considered an icon of Kiwiana, mostly for the famous Ches and Dale character TV commercials – of course they came much later in around 1968, created by advertising agency Dormer Beck -which I have a long story coming up on next week, so I will cover it in more depth then.